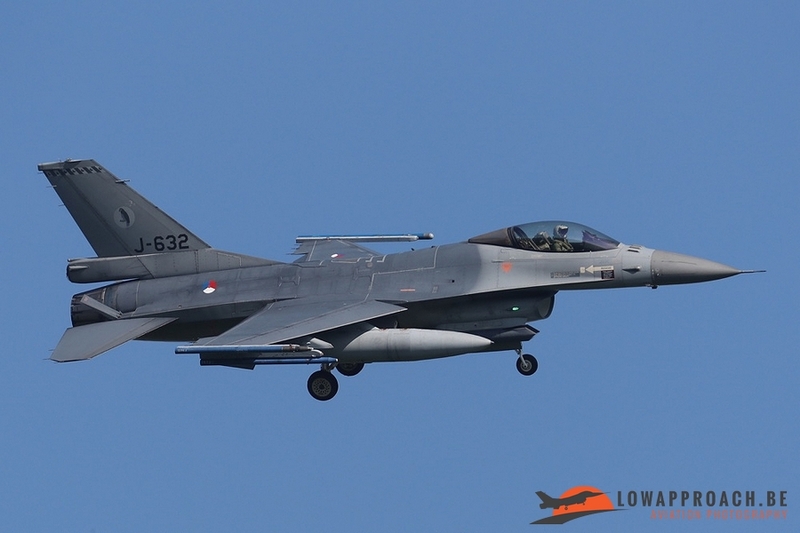 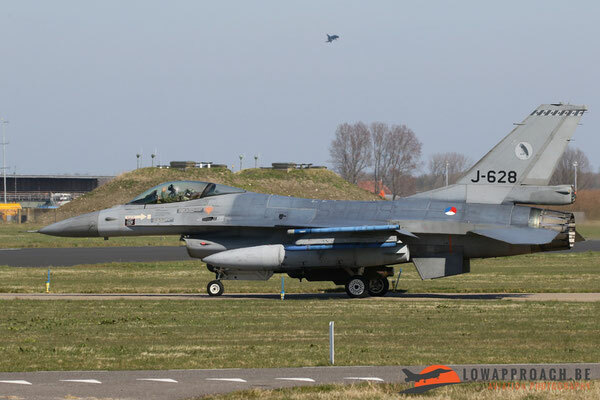 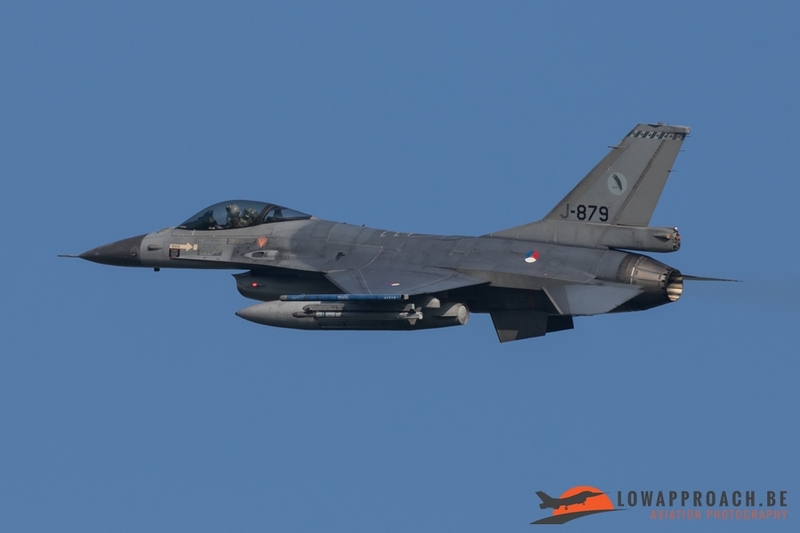 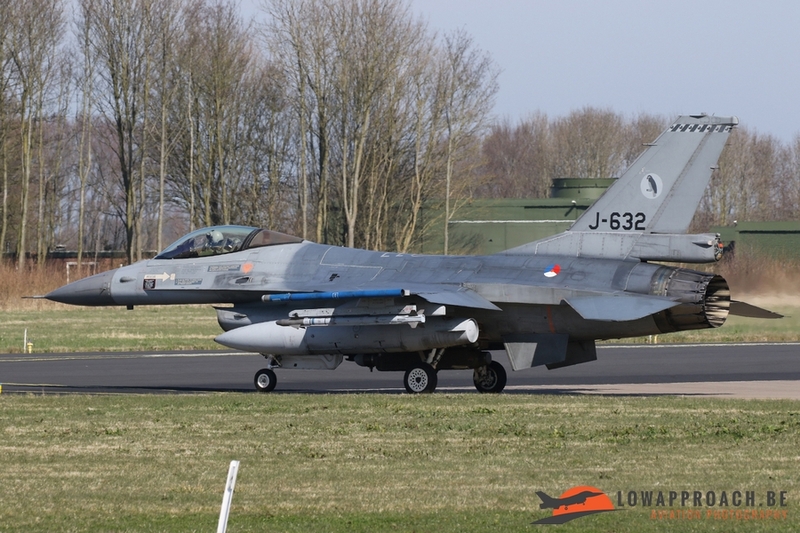 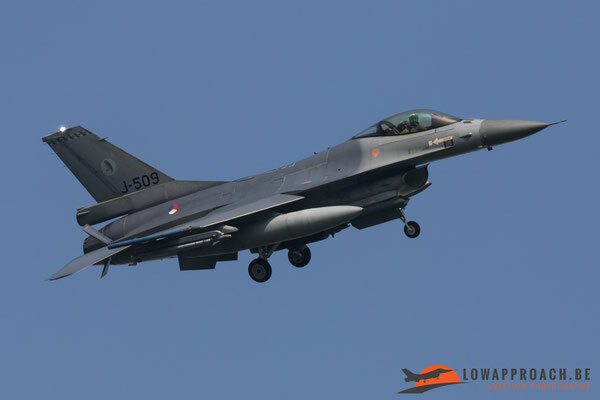 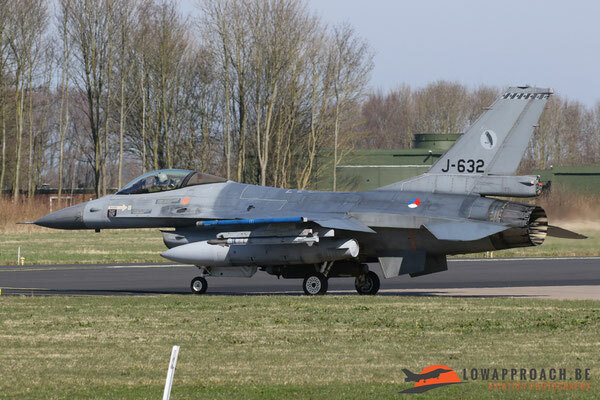 From 27th of March till the 7th of April 2017 the next edition of the exercise “Frisian Flag” has been held at Leeuwarden Air Base in The Netherlands. 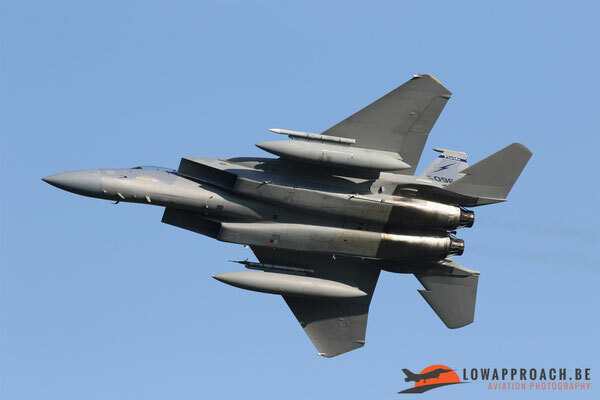 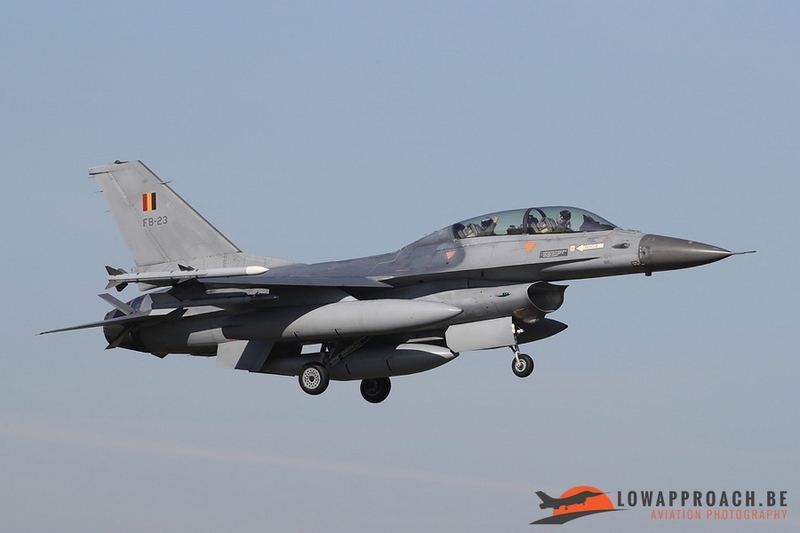 For two weeks fighter aircraft from Belgium, France, Germany, Portugal, the United Kingdom, the Netherlands and the United States worked together for executing a variety of air missions. 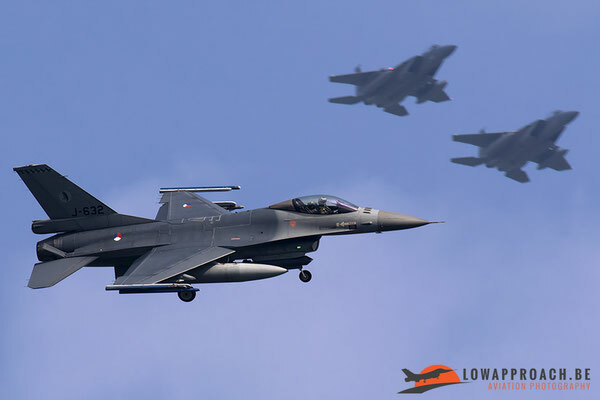 Frisian Flag took place in the skies above The Netherlands, Germany and Denmark. They were able to fly above an area that covers 210 by 320 kilometers. The primary purpose of Frisian Flag 2017 is to provide the participating units experience in combined NATO operations within a modern threat environment. 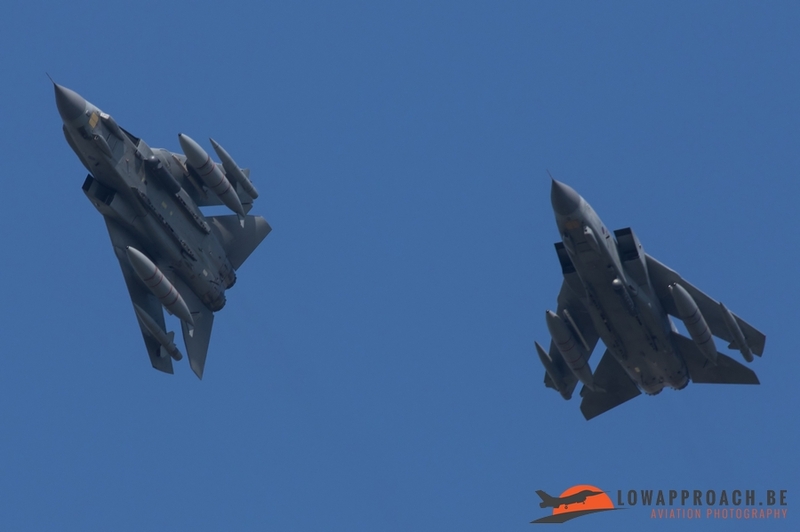 The RAF Tornado GR.4’s were joined by USAF F-15 Eagles, French Mirage 2000D’s, German Typhoons and an assortment of F-16 variants from several countries. 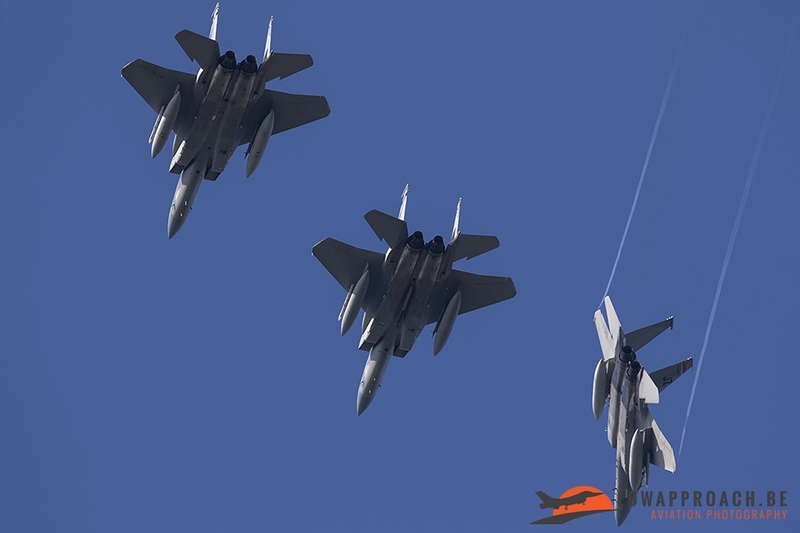 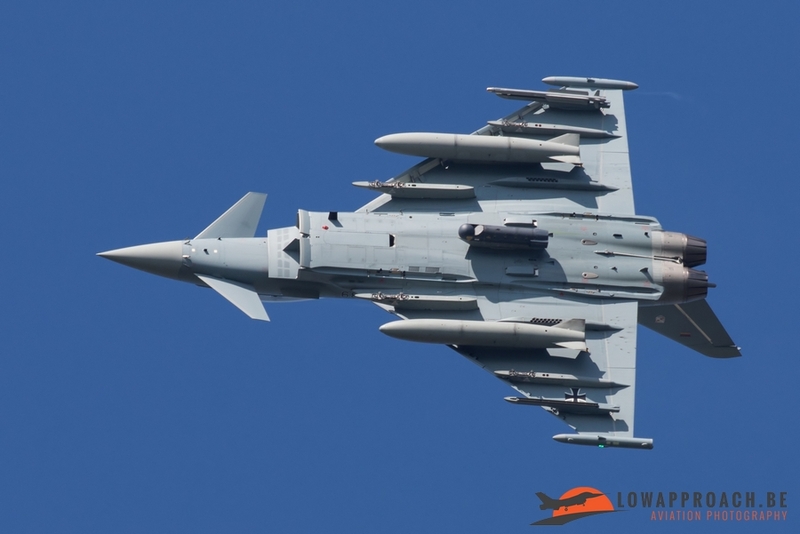 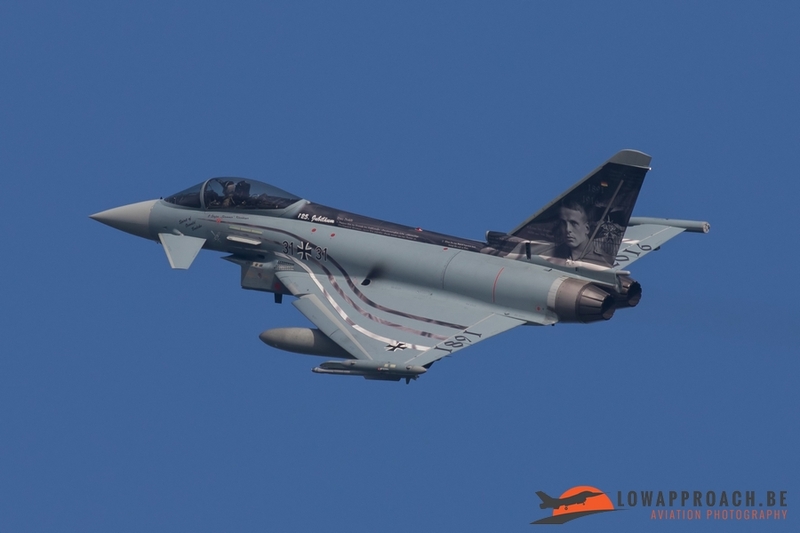 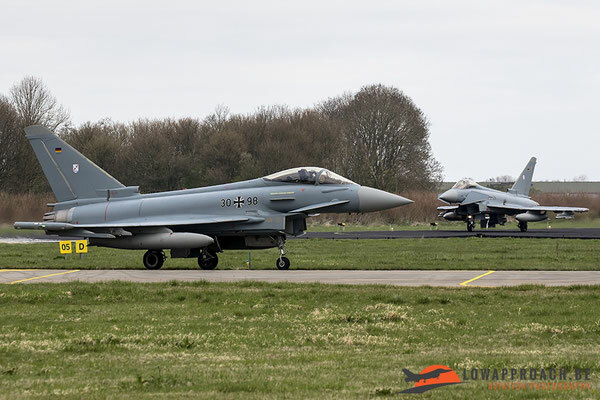 The two-week long exercise saw the assets split into two teams: the “Red Force”, that included the RAF Tornado GR4s and the French Mirage 2000D’s, and the “Blue Force” made of the Florida and Louisiana ANG F-15s, the Eurofighter Typhoons, as well as F-16’s from Portugal, Belgium and the Netherlands. 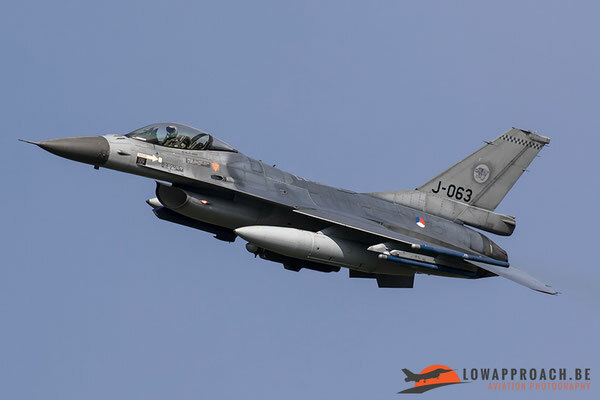 Participating aircraft took off twice a day. 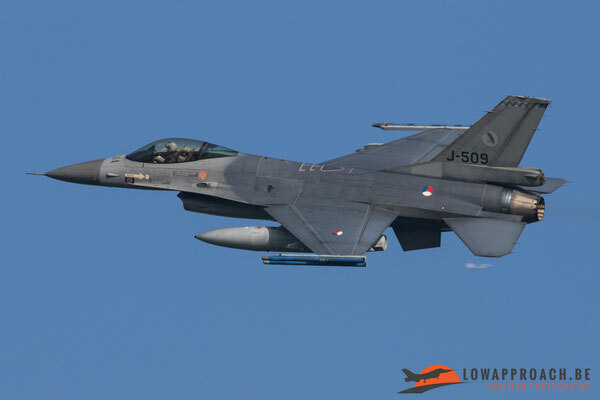 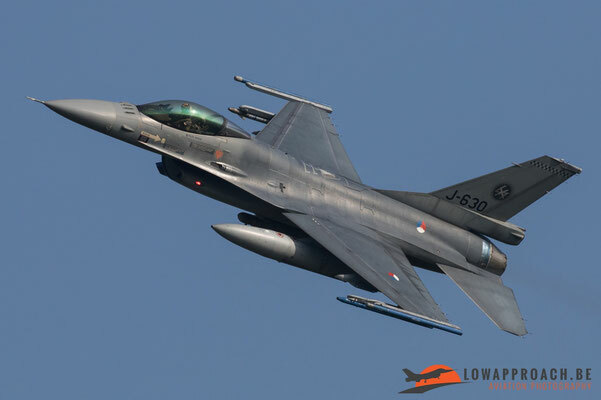 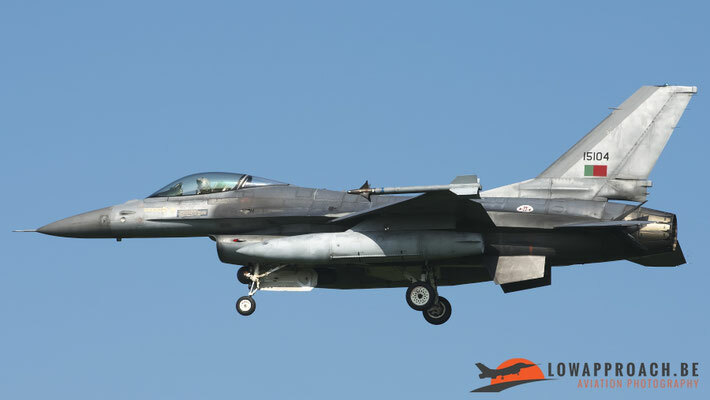 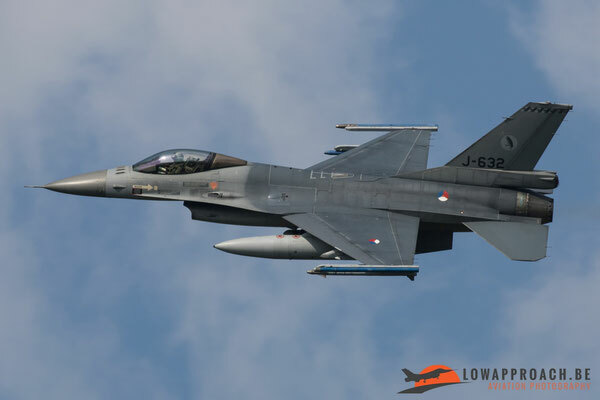 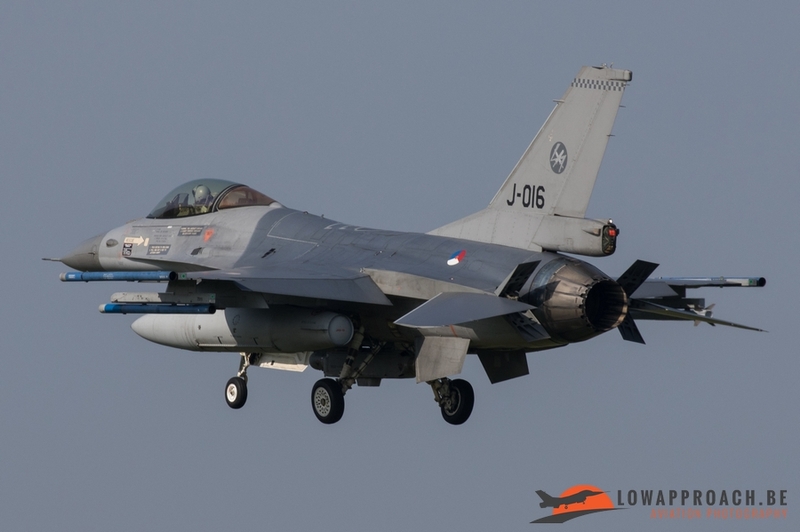 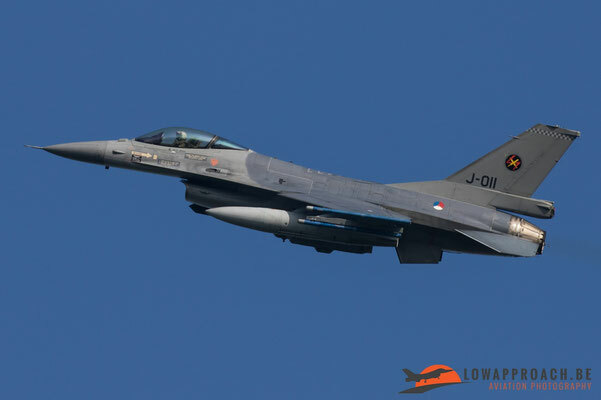 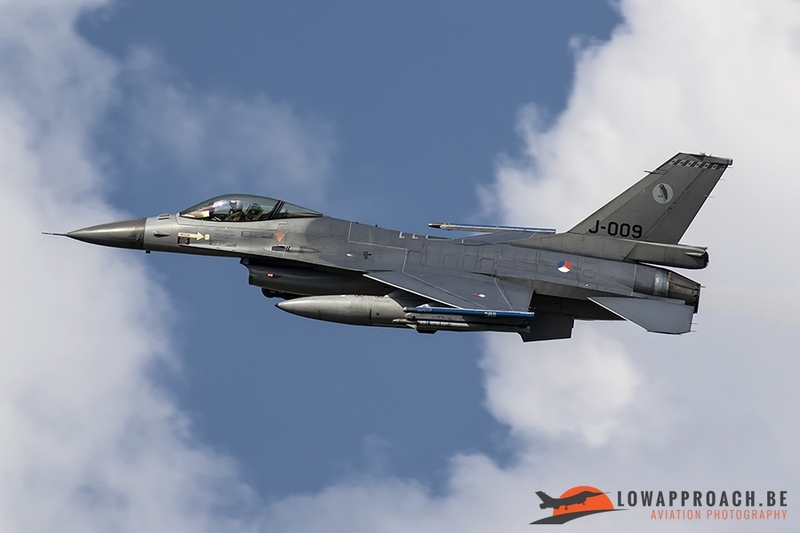 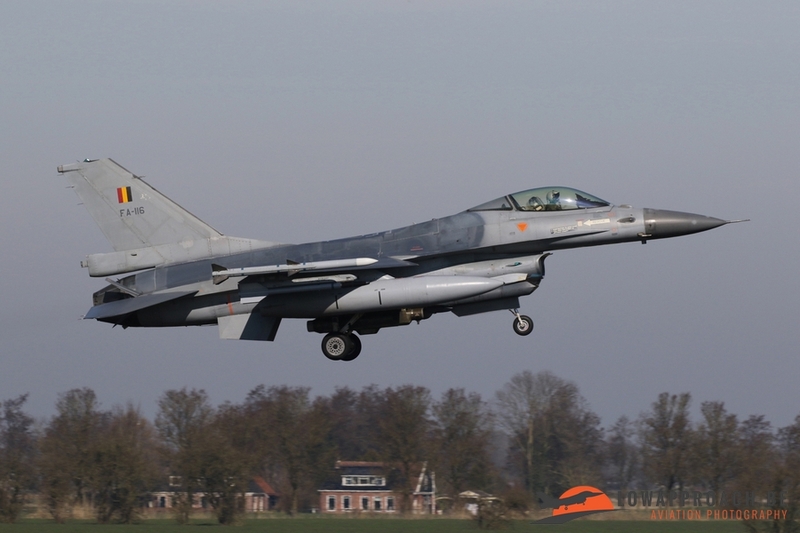 Missions flown during Frisian Flag include air defense missions, offensive missions, missions to protect other aircraft and missions carried out to eliminate static and dynamic targets on land or at sea. 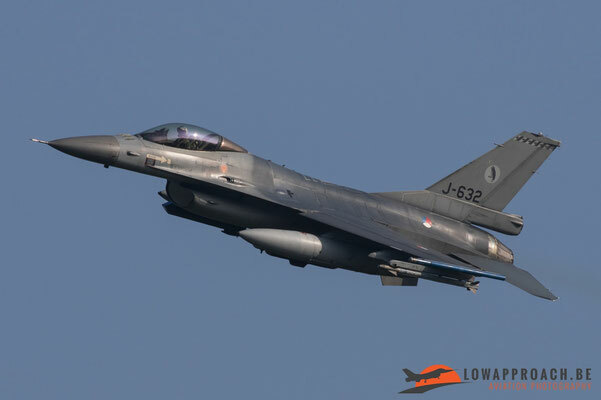 We as Low Approach attended Frisian Flag at several days with four members and came home with the following report. 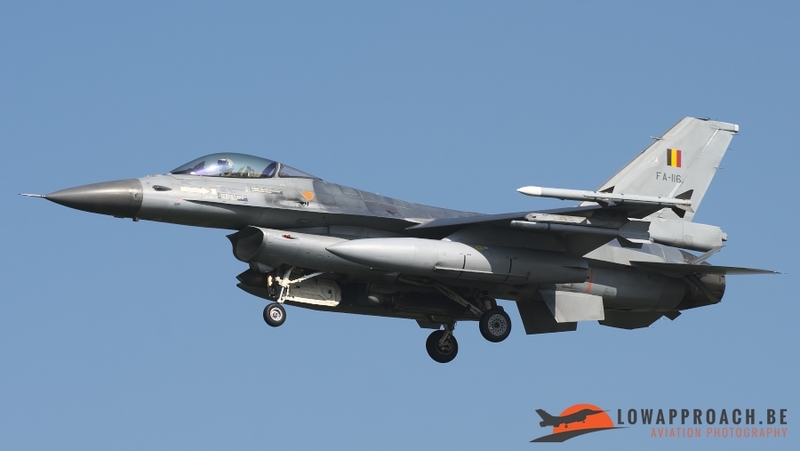 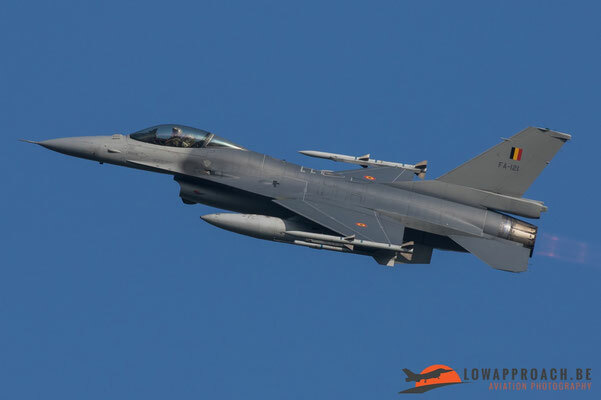 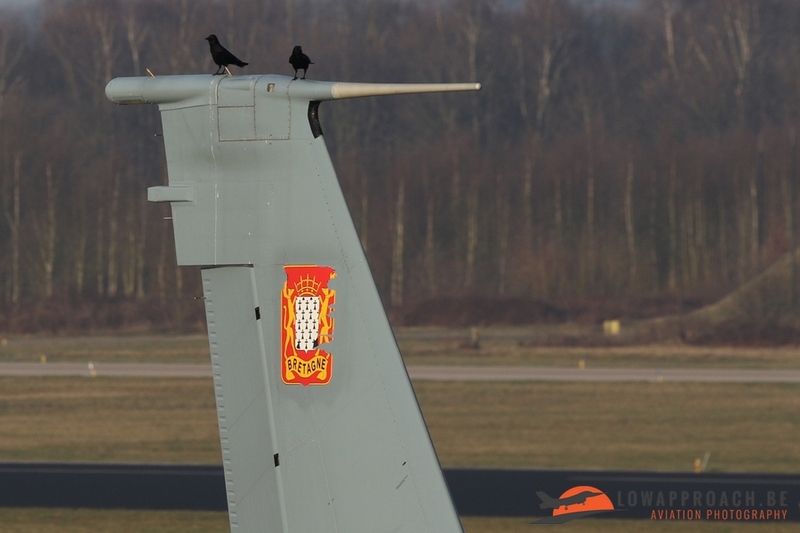 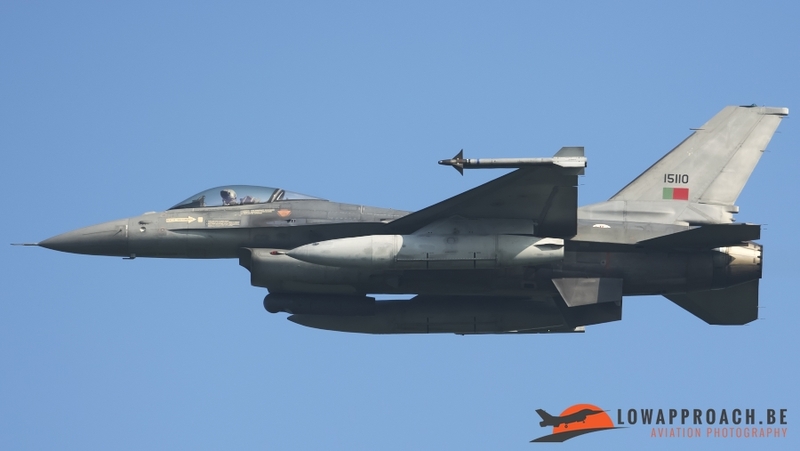 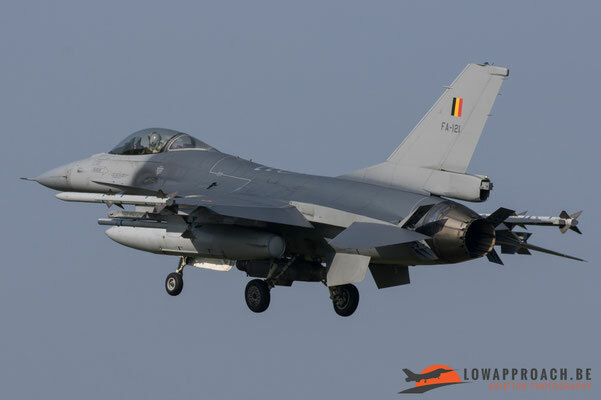 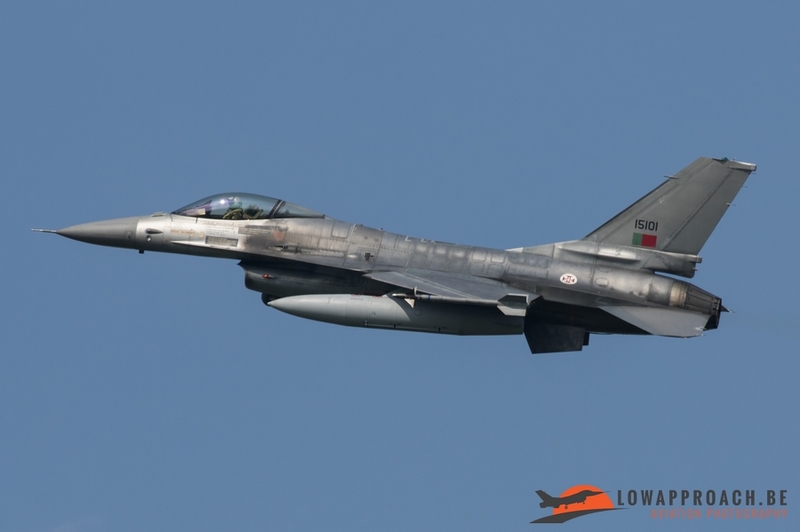 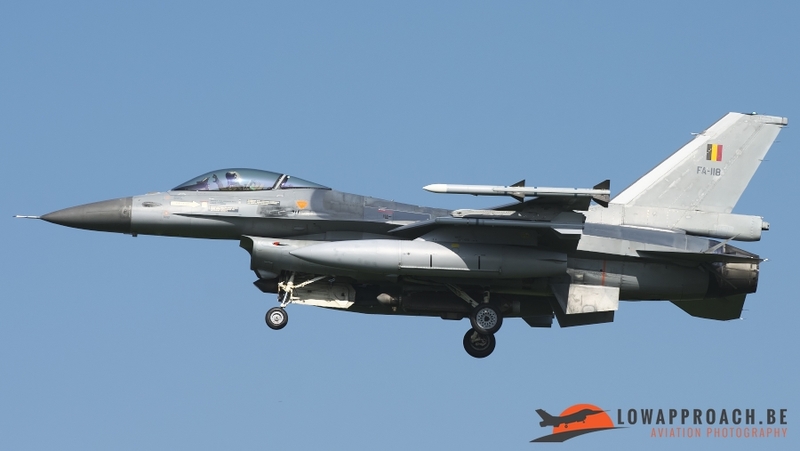 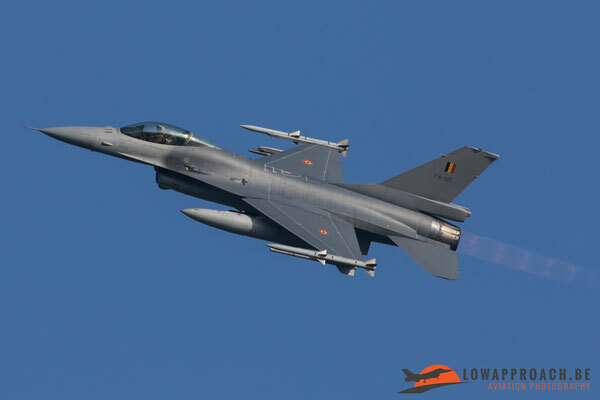 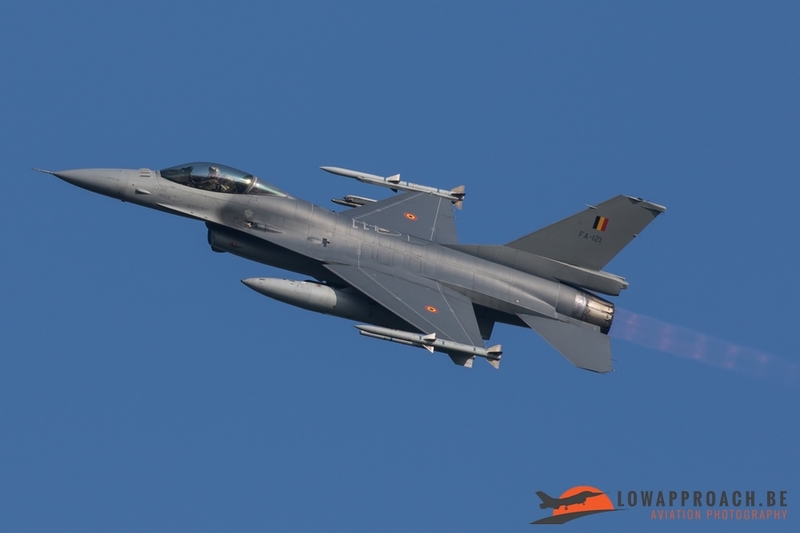 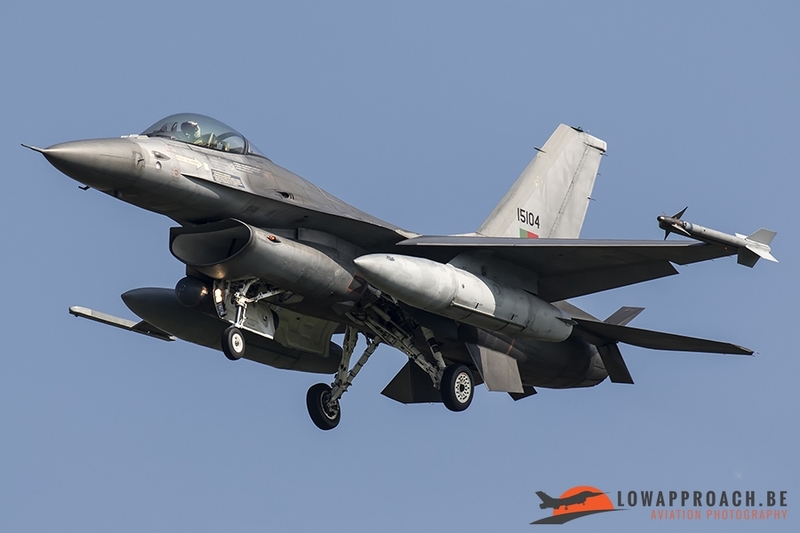 The Belgian Air Force attended Frisian Flag with 7 F-16’s. 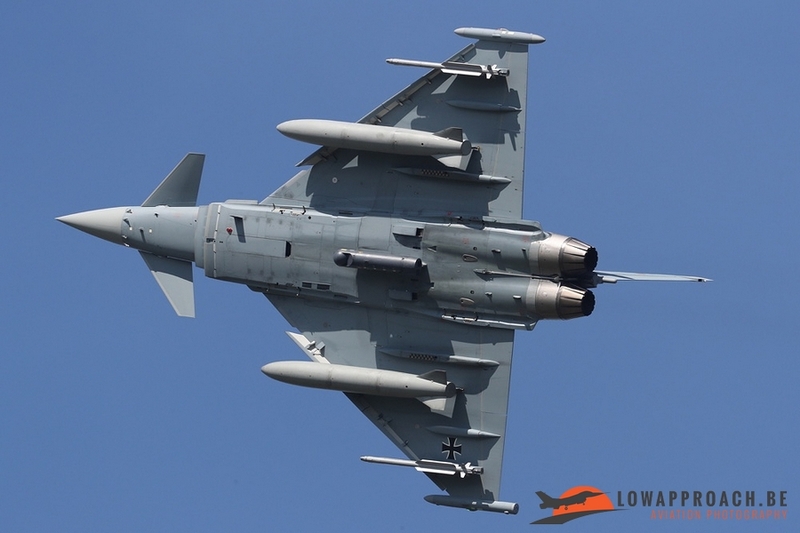 This year it was a combination of aircraft from Kleine-Brogel and Florennes and also the pilots and ground crew came from the 2 different airbases. 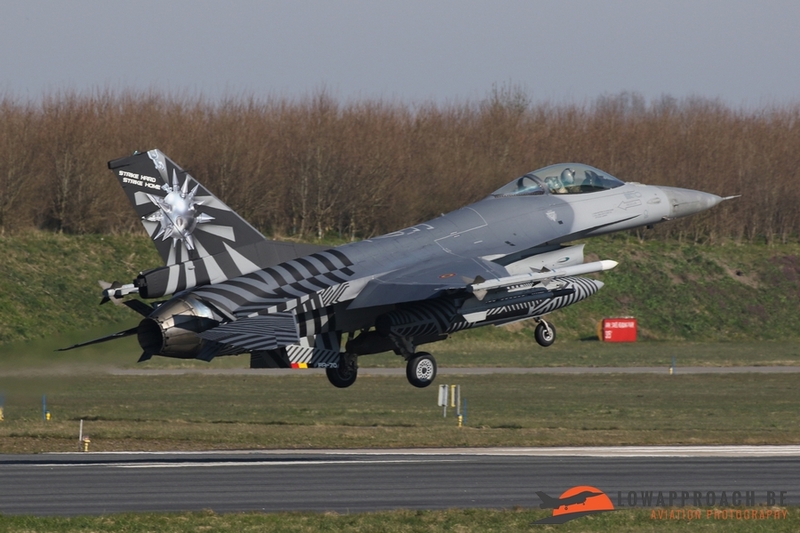 The most special F-16 that they brought with them was the specially painted FA-70 named “Razzle Dazzle” from 349SQN. 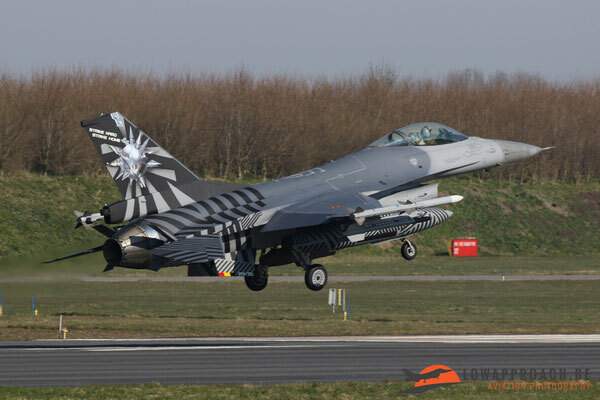 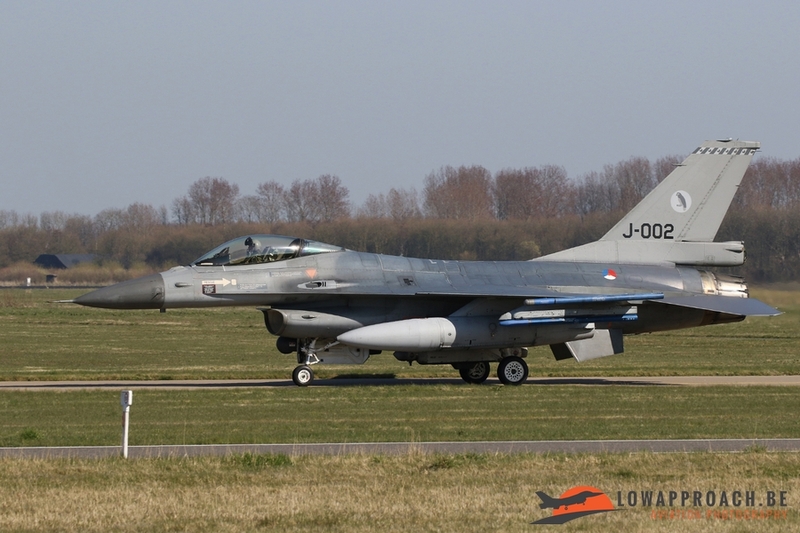 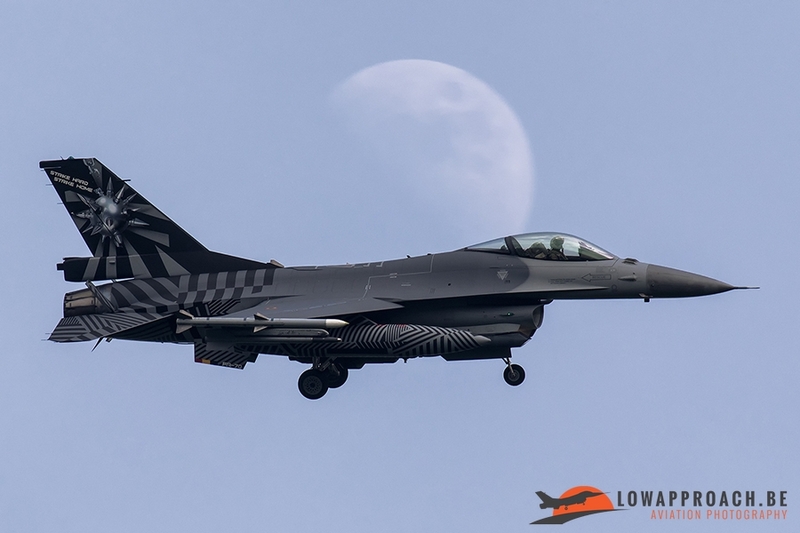 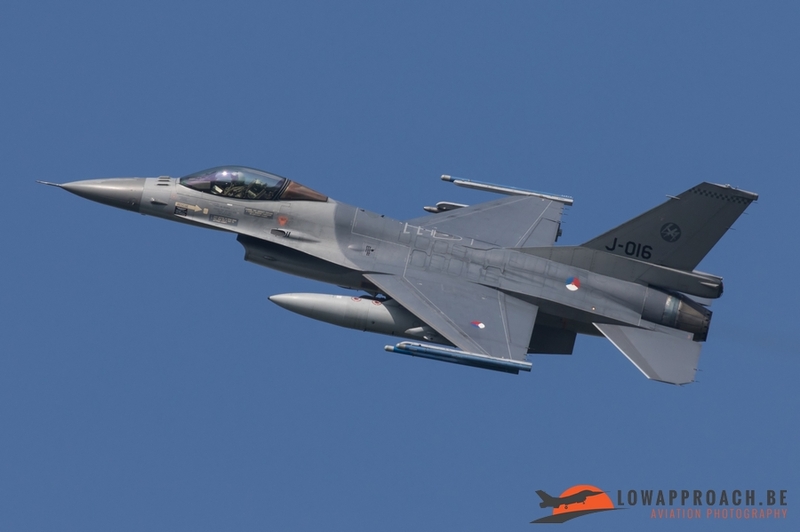 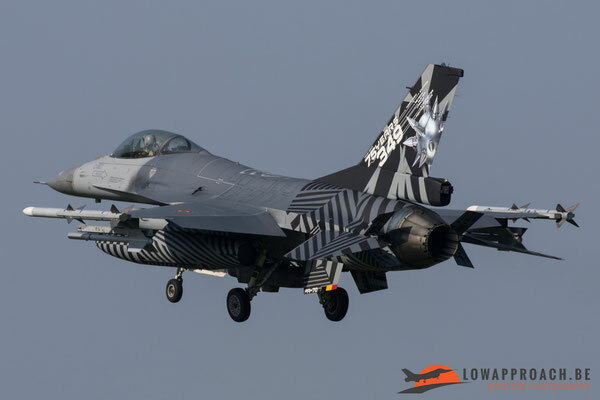 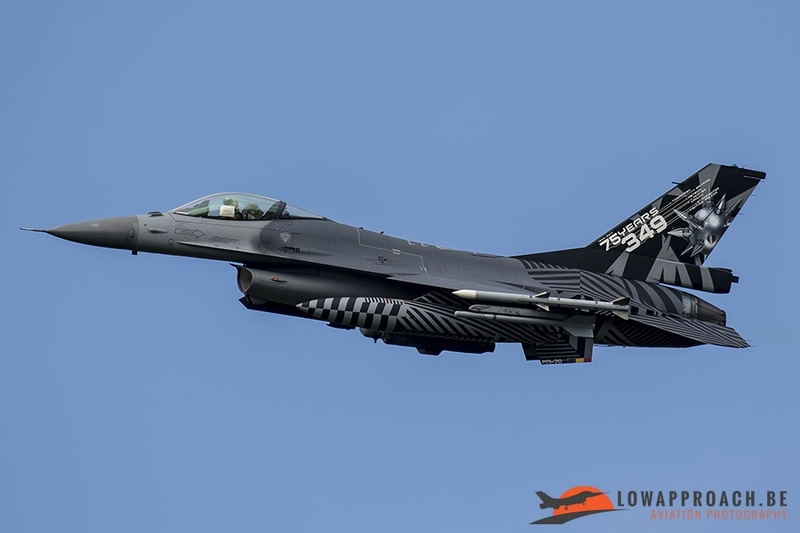 This F-16 had just received this paint scheme a week before Frisian Flag to celebrate the 75th anniversary of 349SQN. 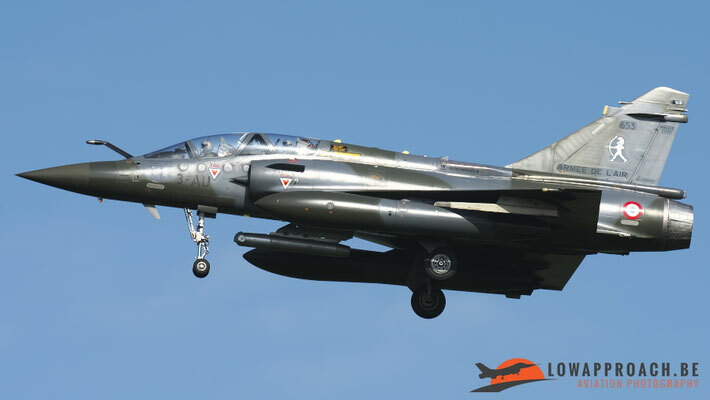 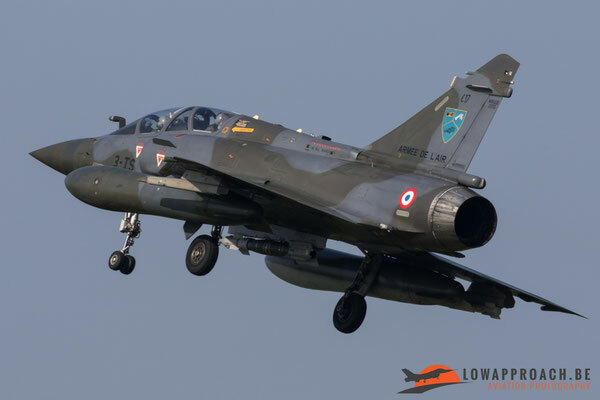 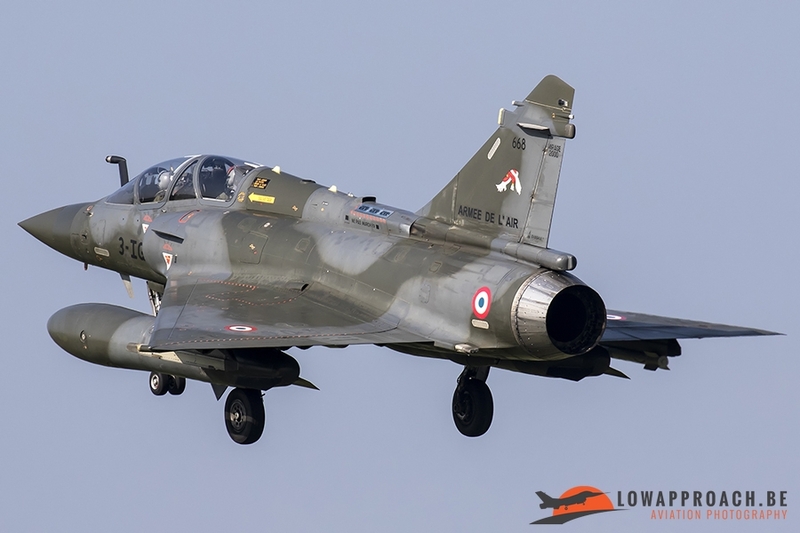 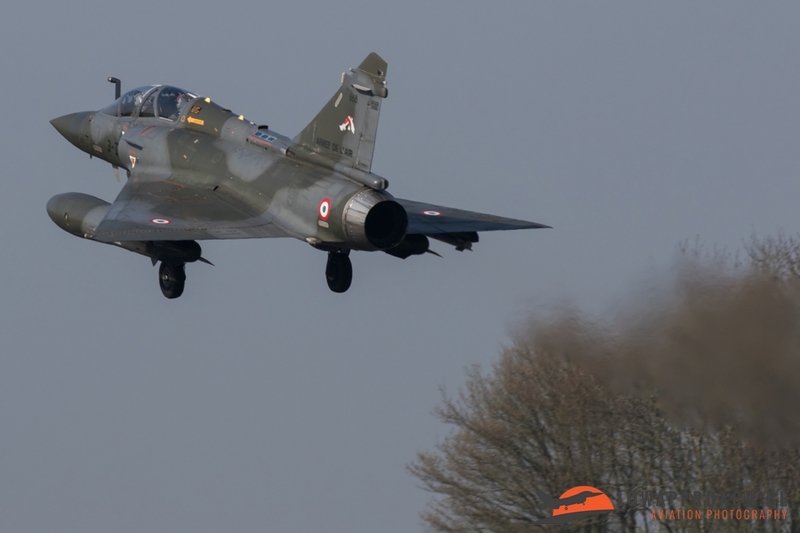 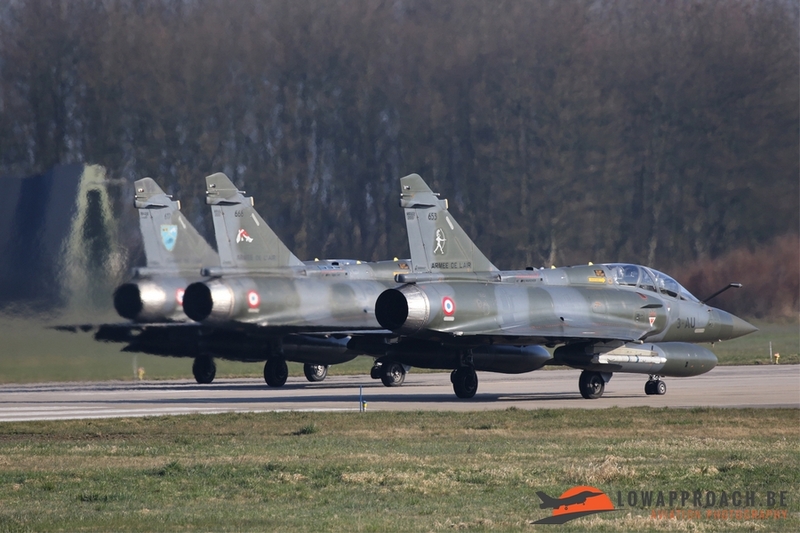 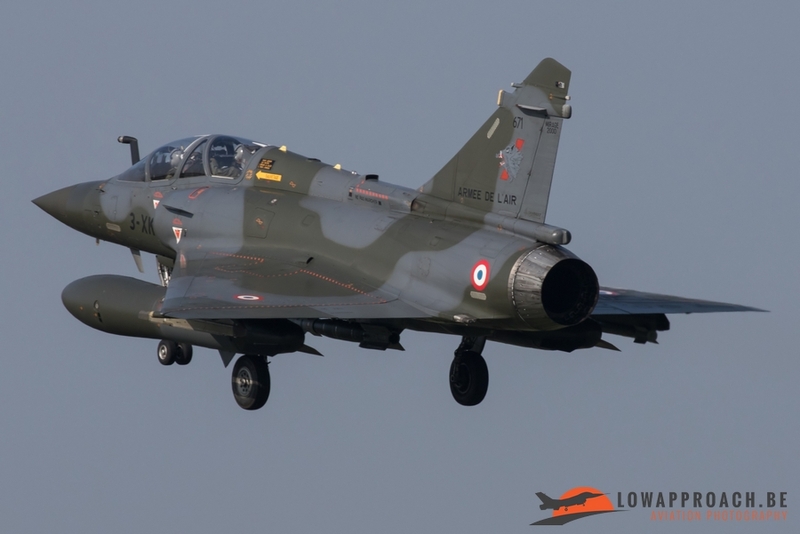 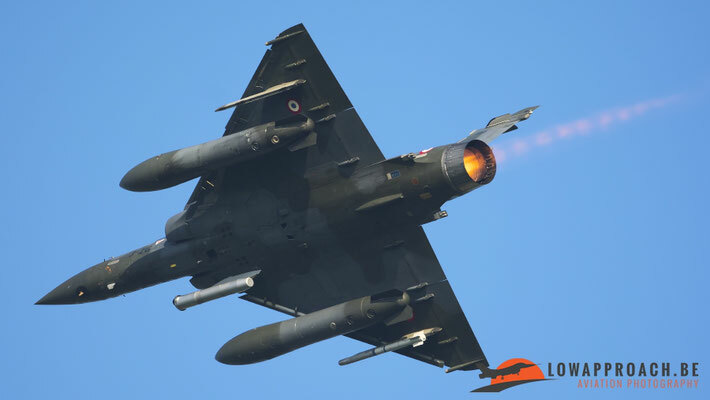 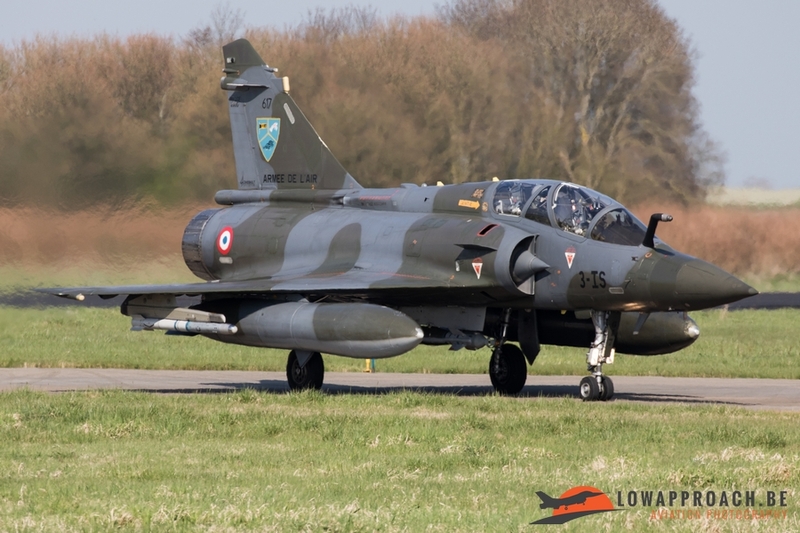 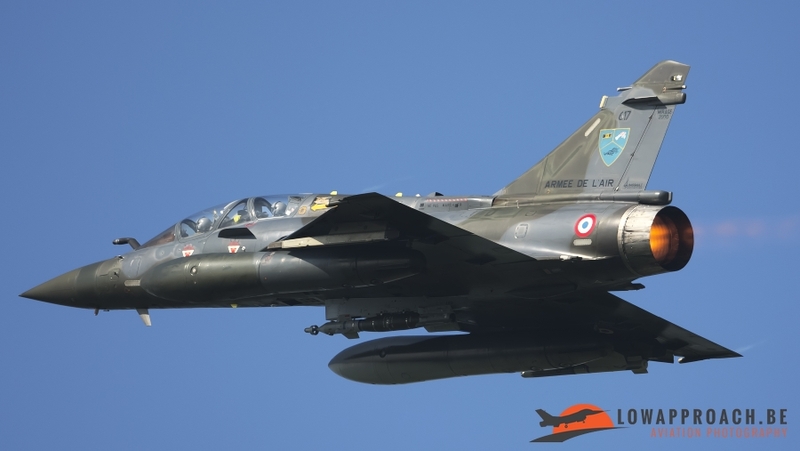 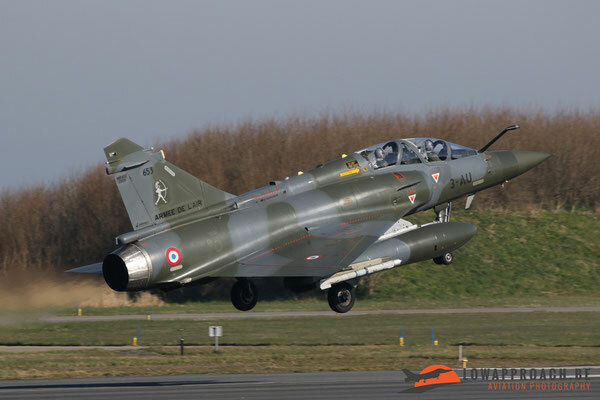 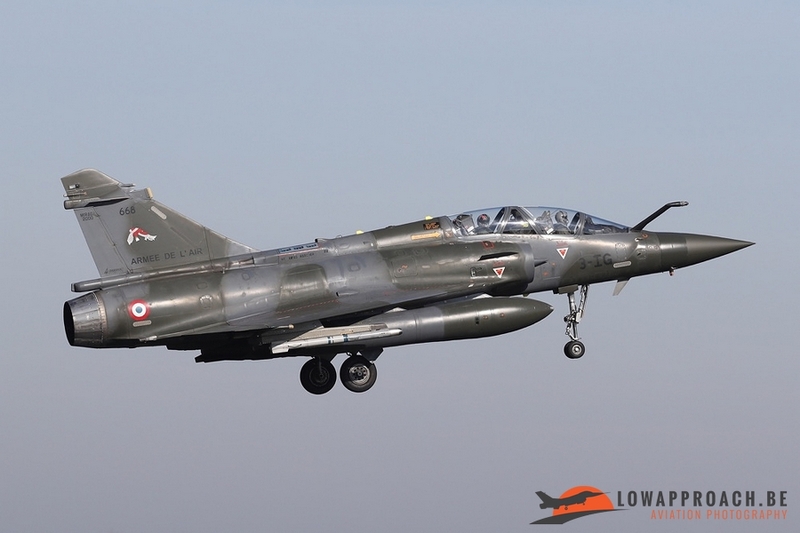 The French Air Force sent several Mirage 2000D’s, which are stationed at BA-133 Nancy-Ochey, to Leeuwarden. 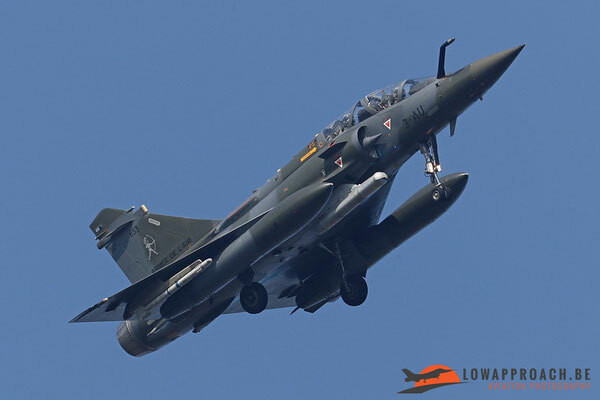 Two of the Mirage 2000D's were equipped with the GBU-49 Paveway II. 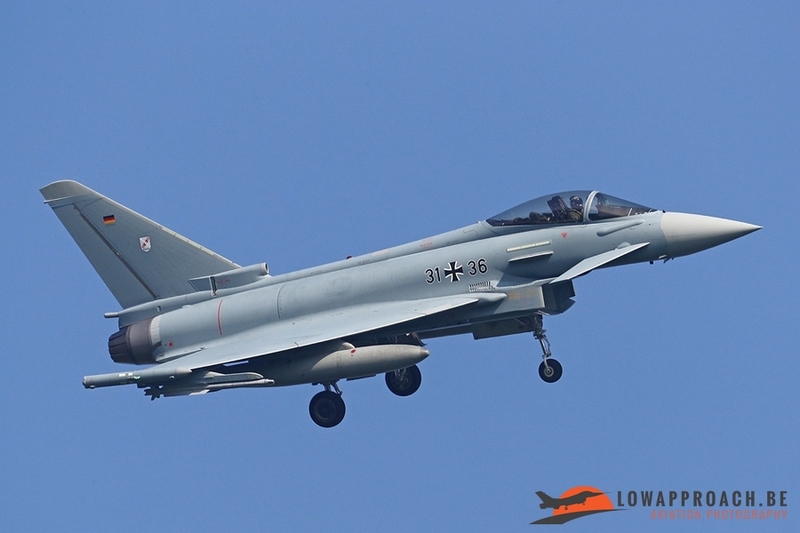 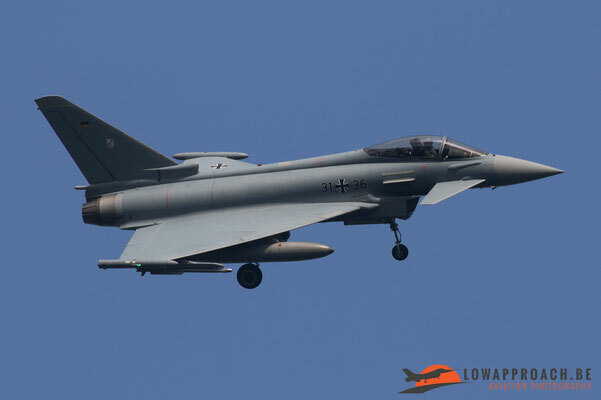 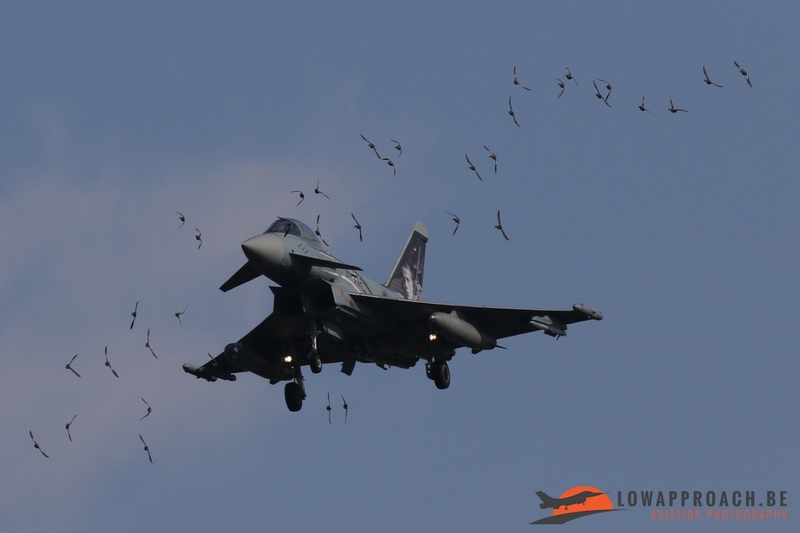 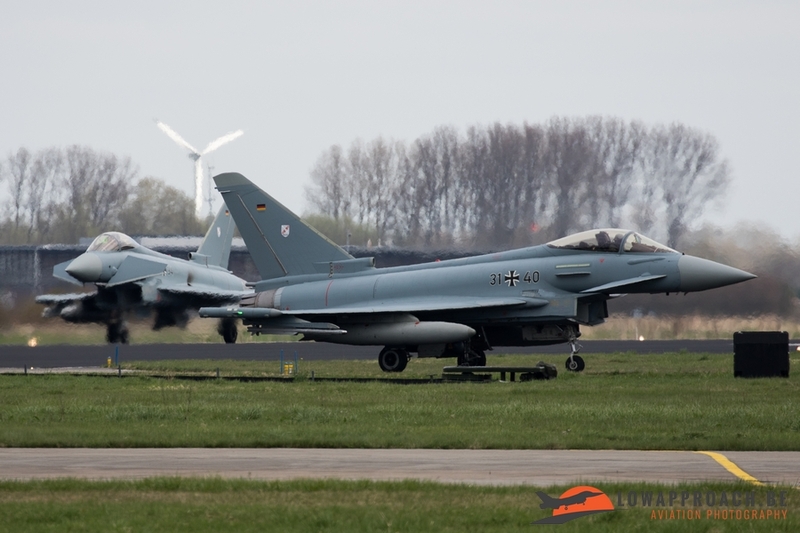 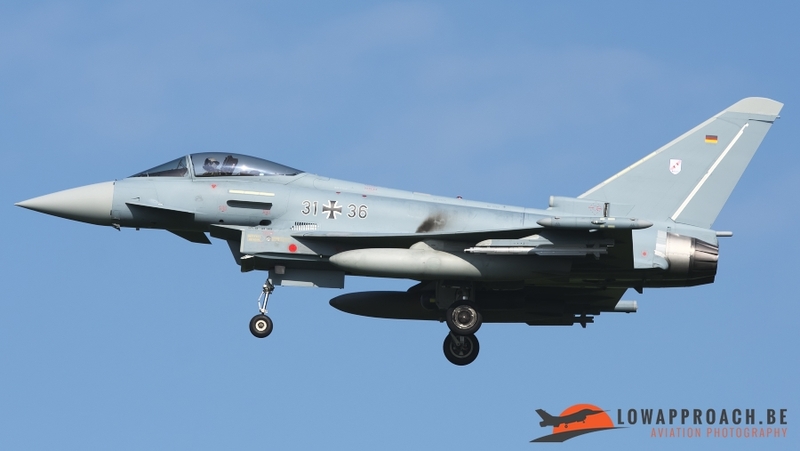 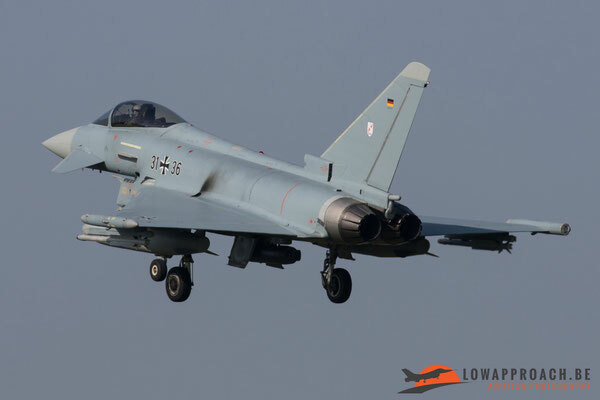 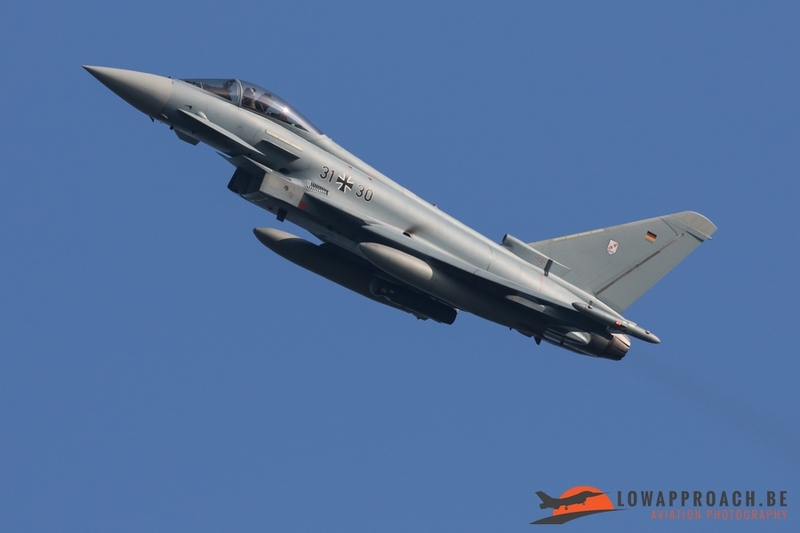 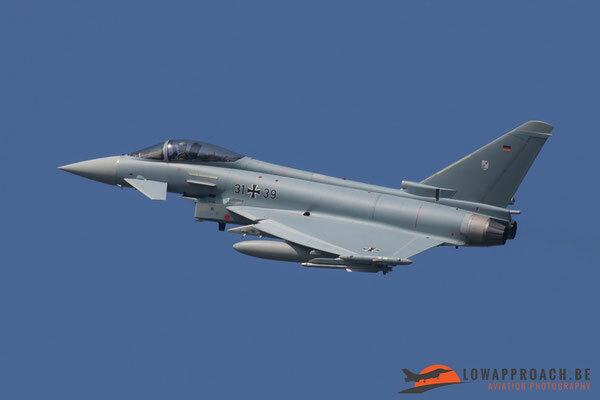 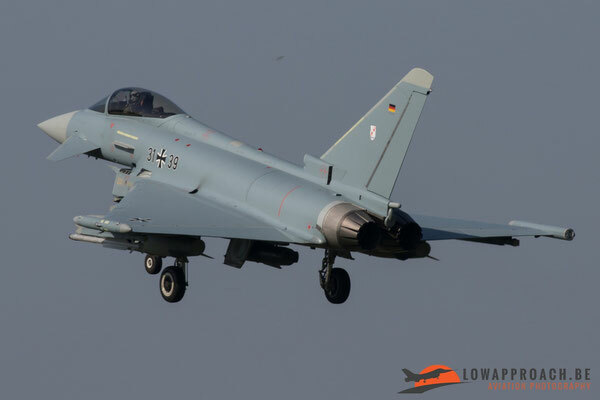 The German Air Force was in Leeuwarden with 10 Eurofighter EF2000 Taifun’s. These came all from TLG31 in Nörvenich. 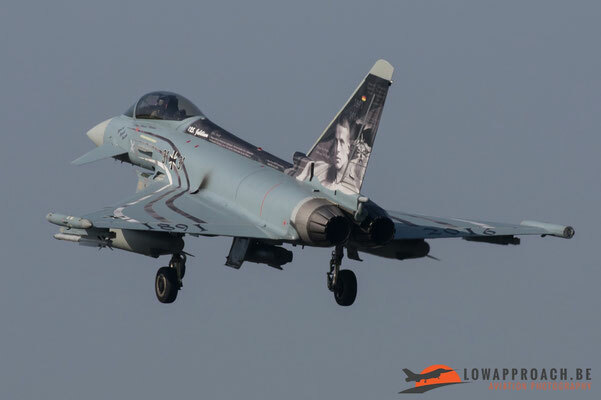 They also brought one specially painted EF2000 with them, the 31+31 "Spirit of Oswald Boelcke". Captain Oswald Boelcke was born on 19 May 1891 and was killed in action on 28 October 1916 after he had achieved a total of 40 aerial victories. 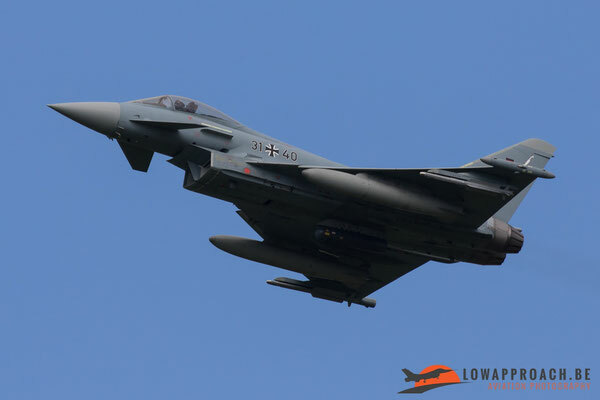 In the middle of a heated air combat, the aircraft of his friend Böhme touched his aircraft. Boelcke could not bring the crashing aircraft back under control and was killed when it hit the ground. So if he was still alive he would have been 125 years this year and therefore this specially painted Eurofighter. 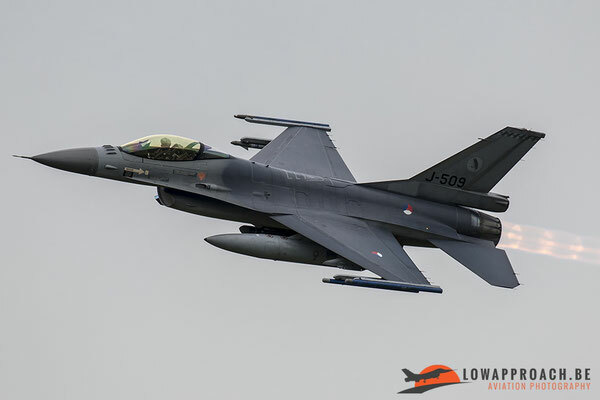 Off course the Royal Netherlands Air Force was well presented with their F-16 during Frisian Flag. 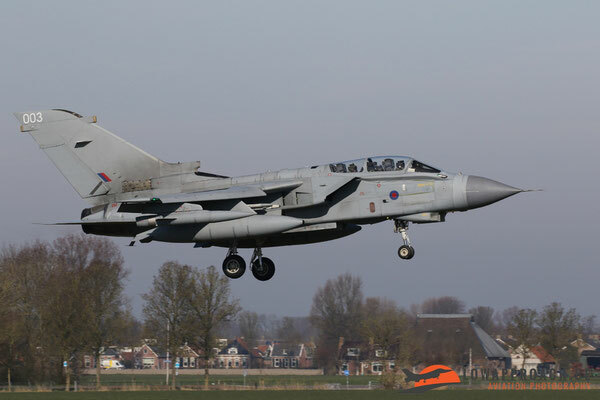 During take-off there were enough chances to take nice banking shots as you can see below. 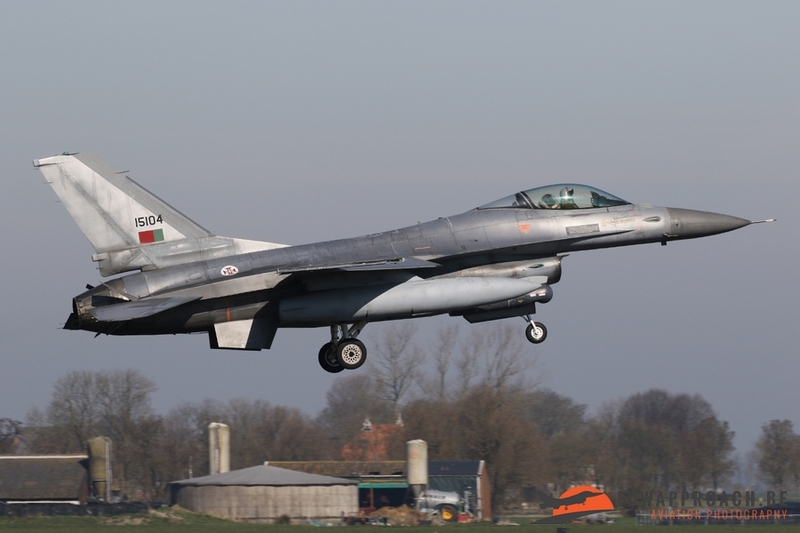 The Portuguese Air Force attended with 5 F-16’s from Esquadra 201 "Falcoes"/301 "Jaguares' based at BA5 Monte Real. 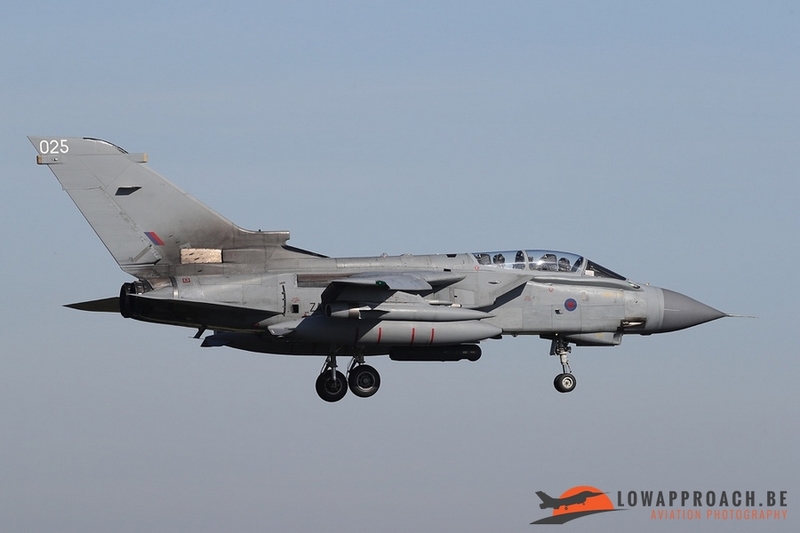 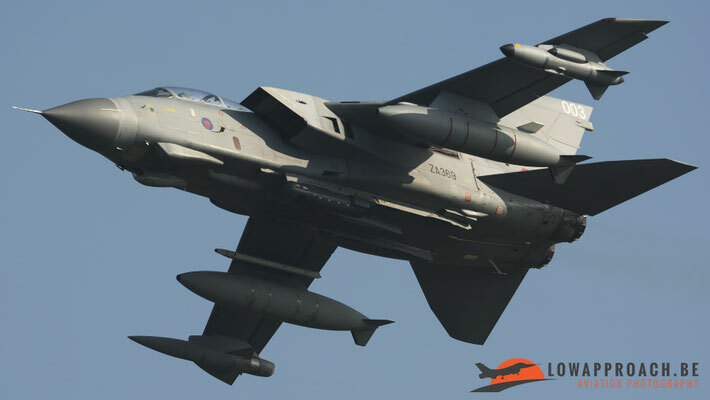 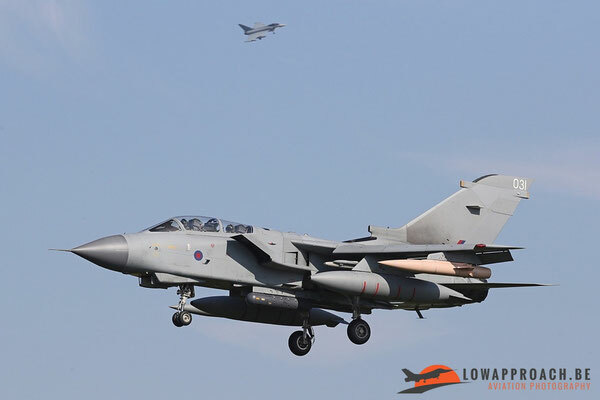 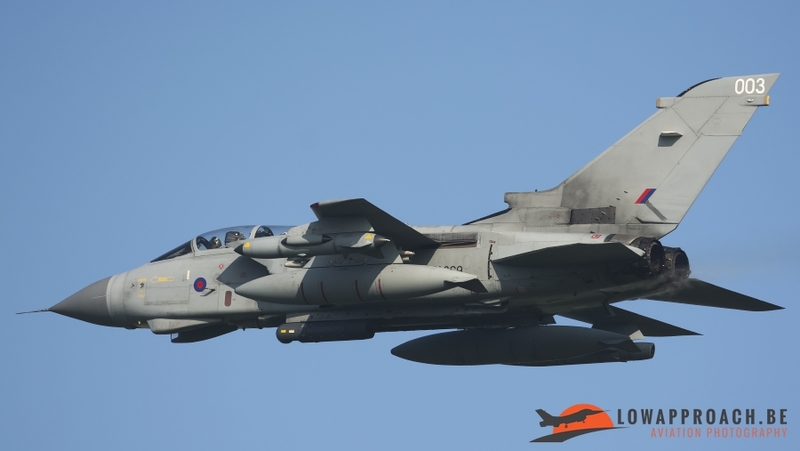 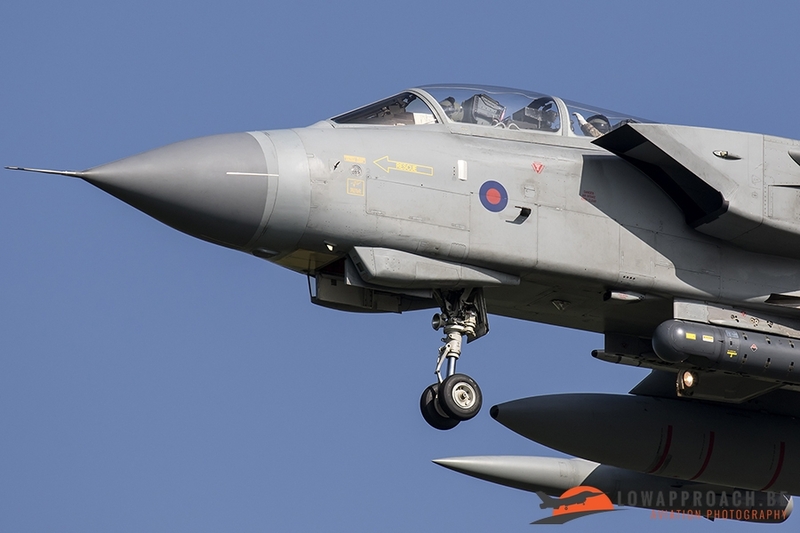 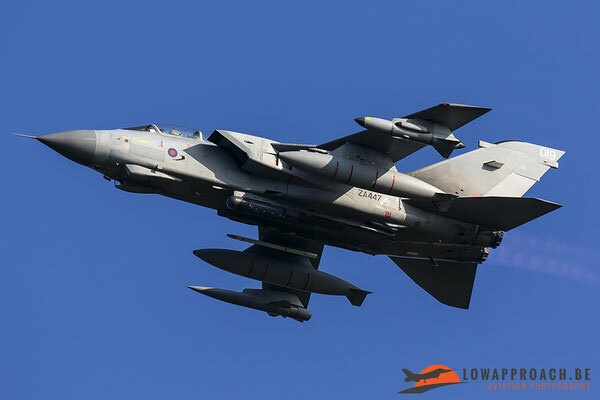 The Royal Air Force came to Frisian Flag with 6 Panavia Tornado GR4, all part of the RAF Marham Wing in Norfolk. 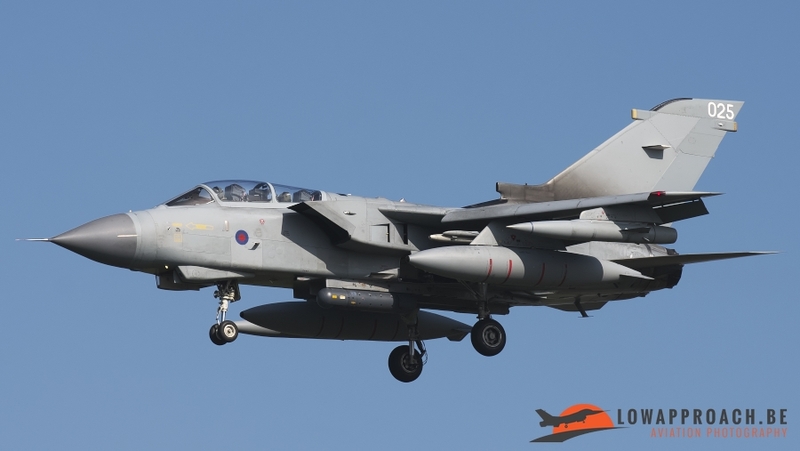 The phase out of the Tornado in the Royal Air Force will start at the end of 2018. 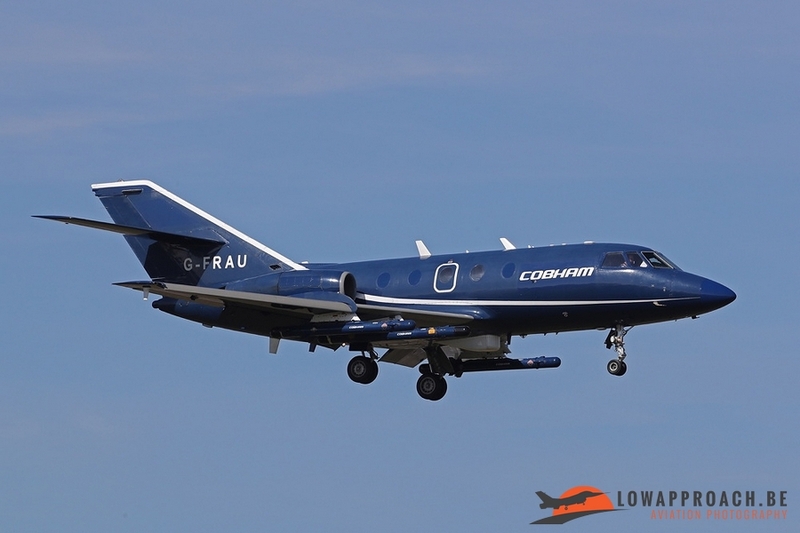 Also from the United Kingdom was a Falcon 20, but this plane came from Cobham Aviation. 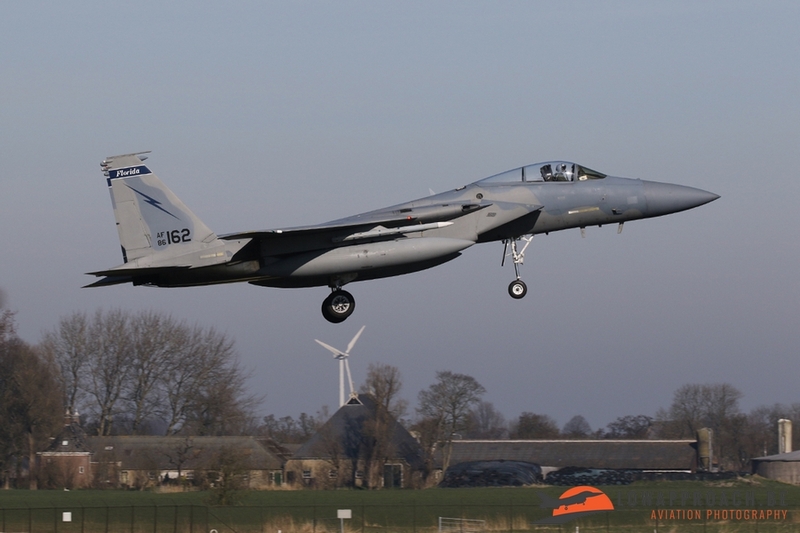 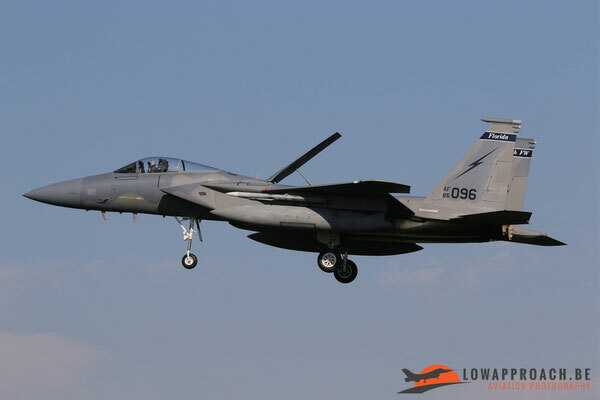 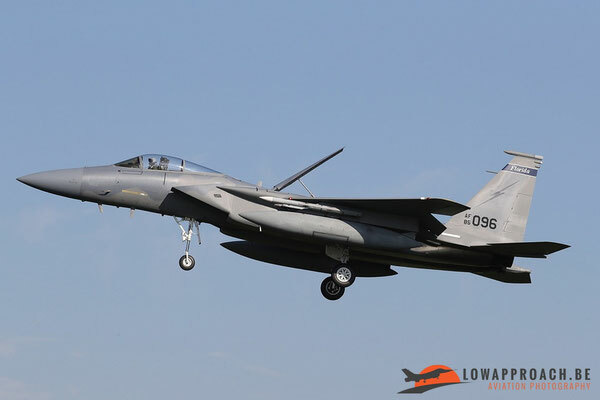 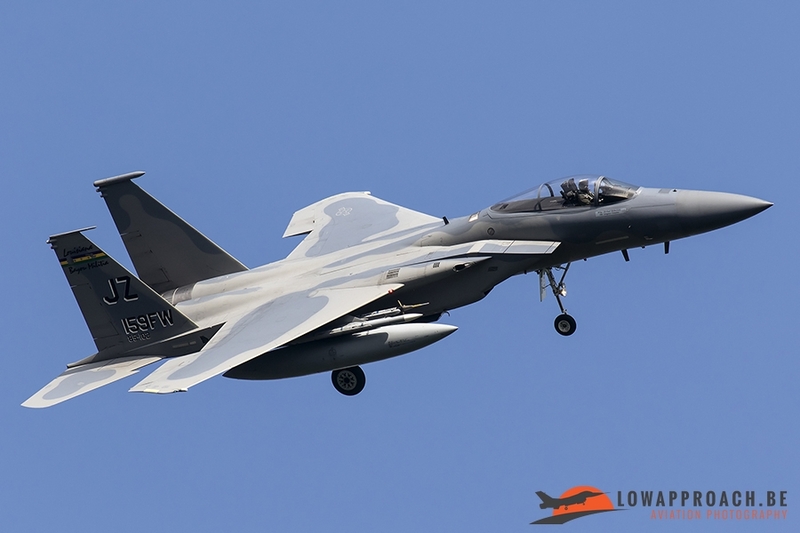 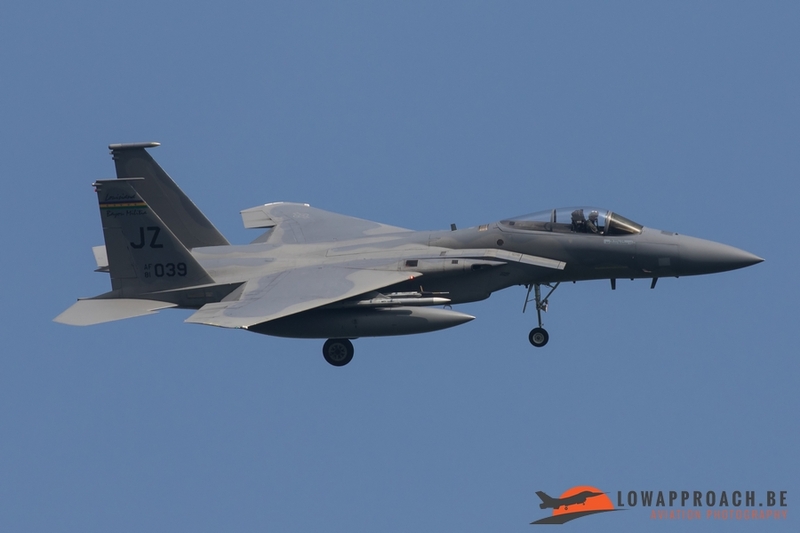 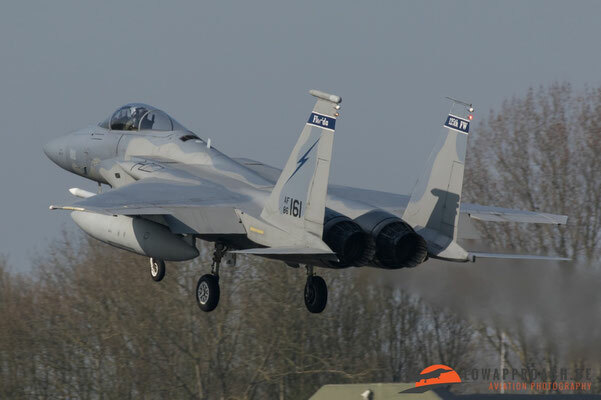 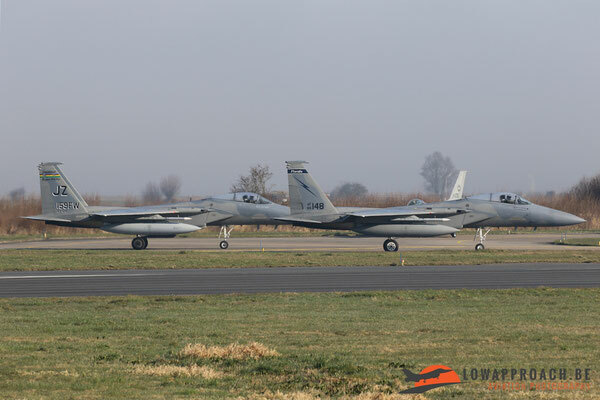 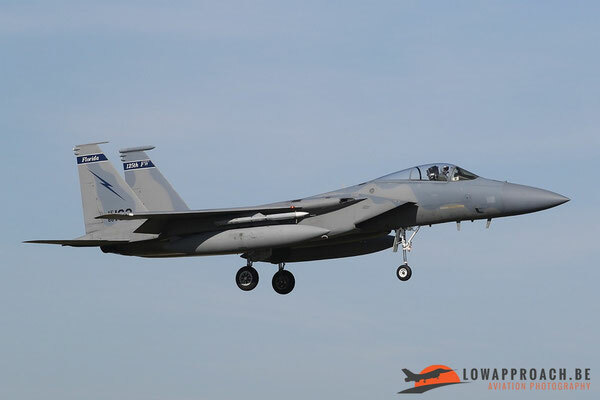 The US Air Force participated for the third time at Frisian Flag since the start of the TSP’s in Europe. 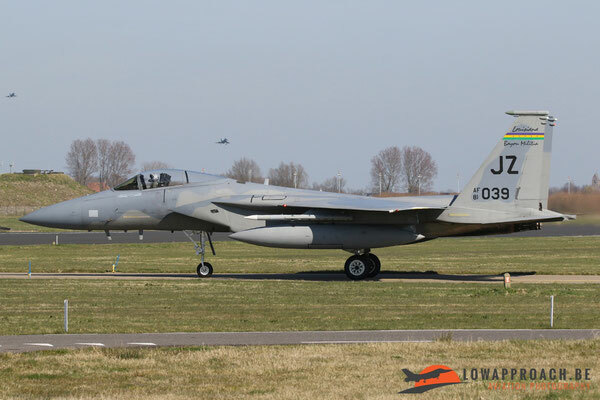 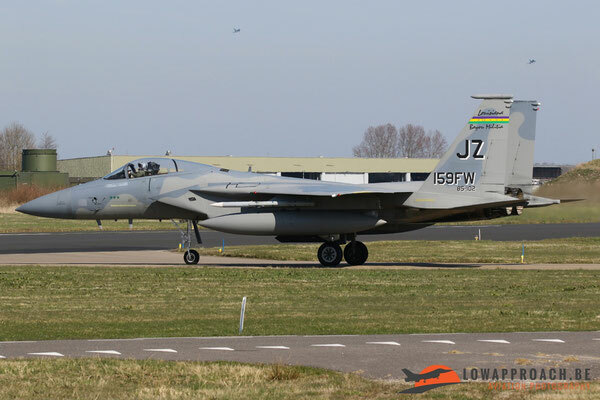 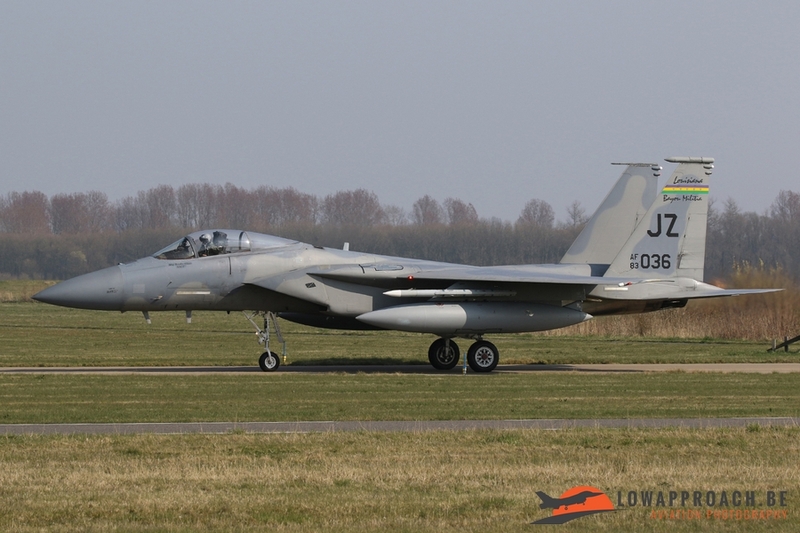 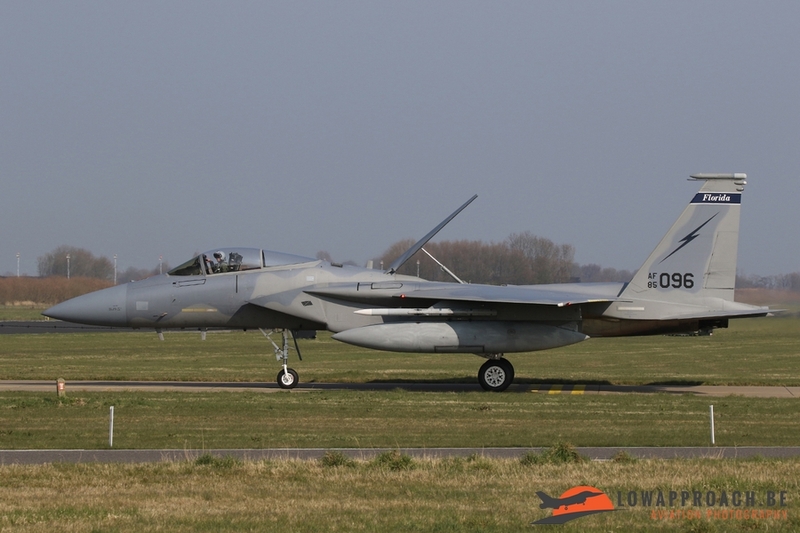 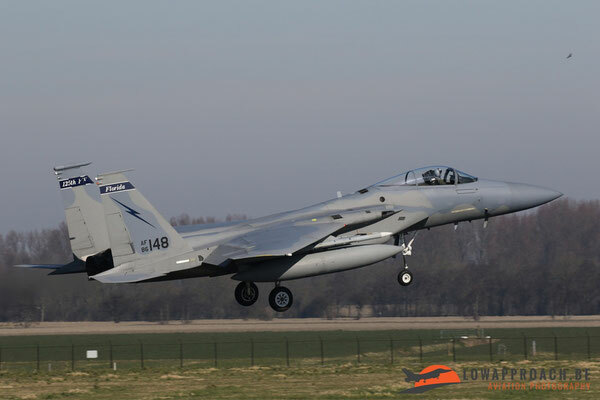 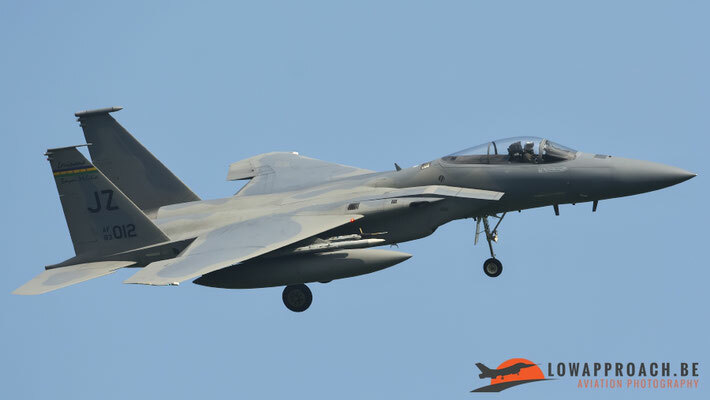 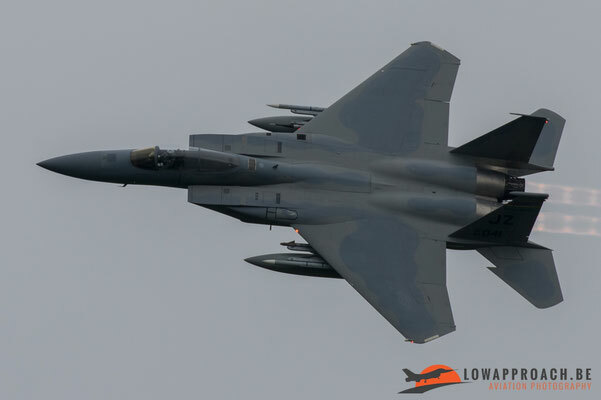 They brought 12 F-15 C/D’s with them to Frisian Flag. 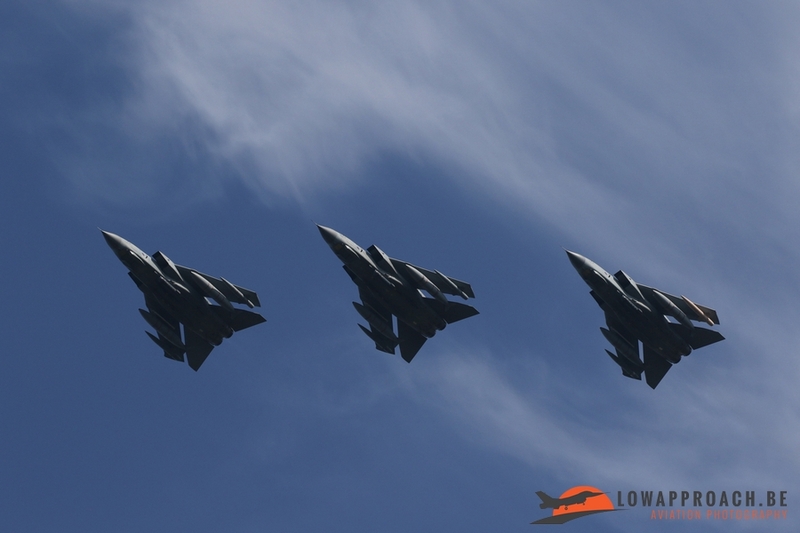 This time the units came from two Air National Guard (ANG) units. 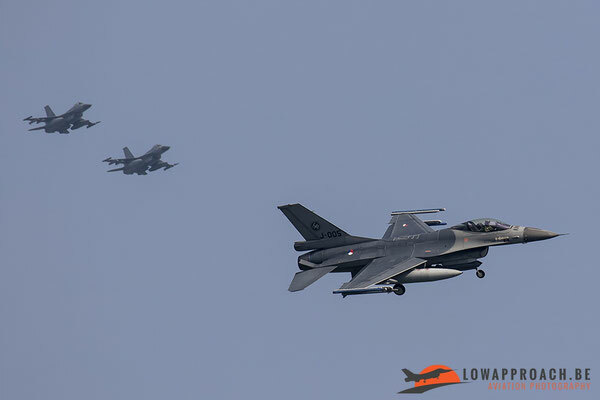 The 125th FW/159th FS ‘Boxin’ Gators’ based at Jacksonville IAP in Florida and 159th FW/122nd FS 'Bayou Militia' from NASJRB New Orleans in Louisiana. 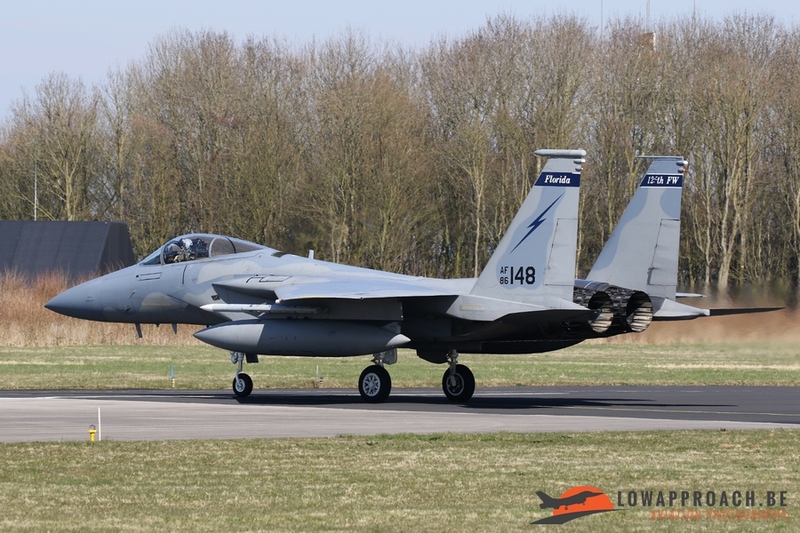 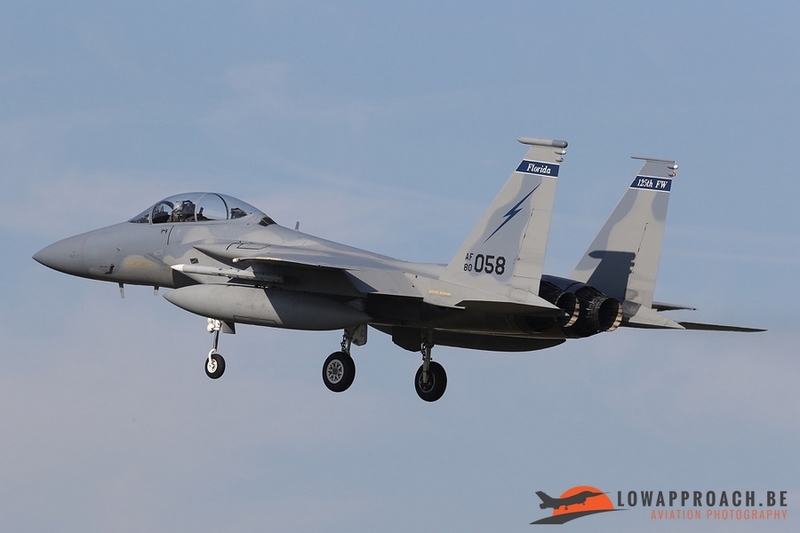 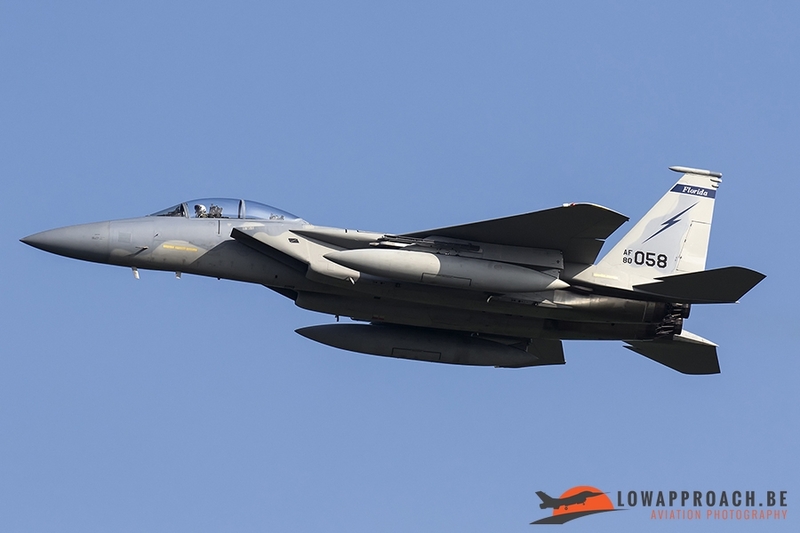 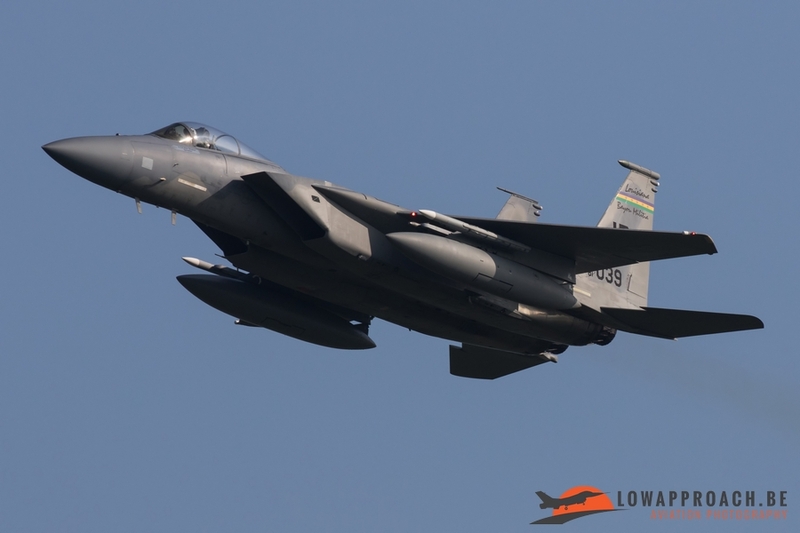 After the exercise the F-15’s stayed in Europe to continue the USAF presence as part of the expeditionary force ‘Atlantic Resolve’. Take a special look to 85-0102/JZ "The Bayou MIG killer": 3 kills during the Iraqi war. 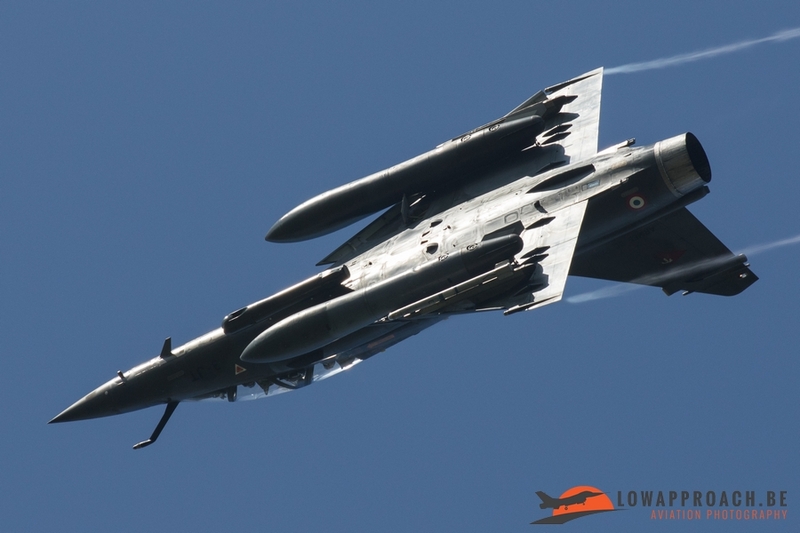 In 1991 one Iraqi MIG-23 'Flogger' & 2 Iraqi Sukhoi Su-22's 'Fitter' were shot down by Capt. 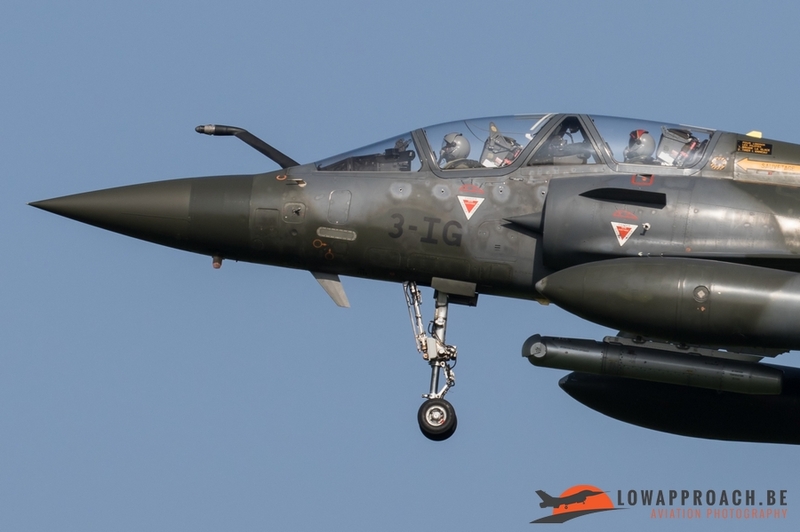 David Glen 'Logger' Rose. 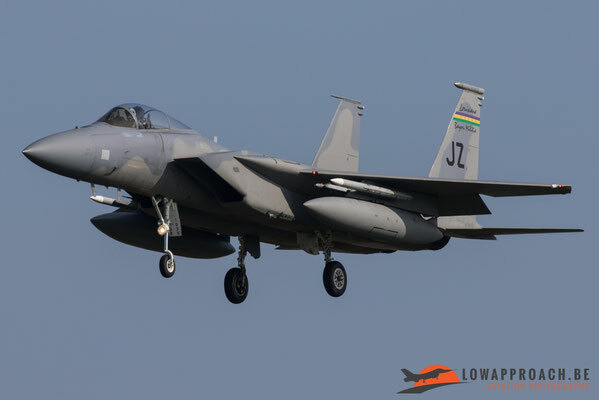 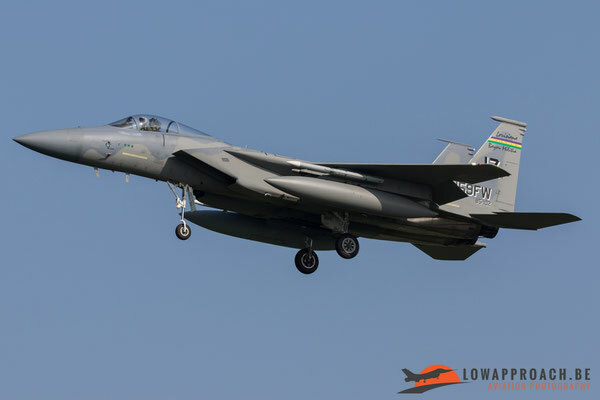 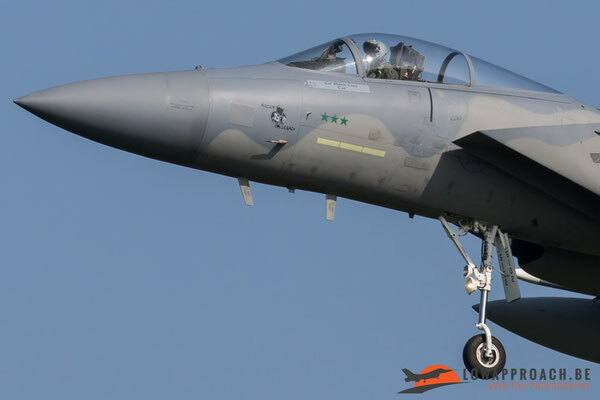 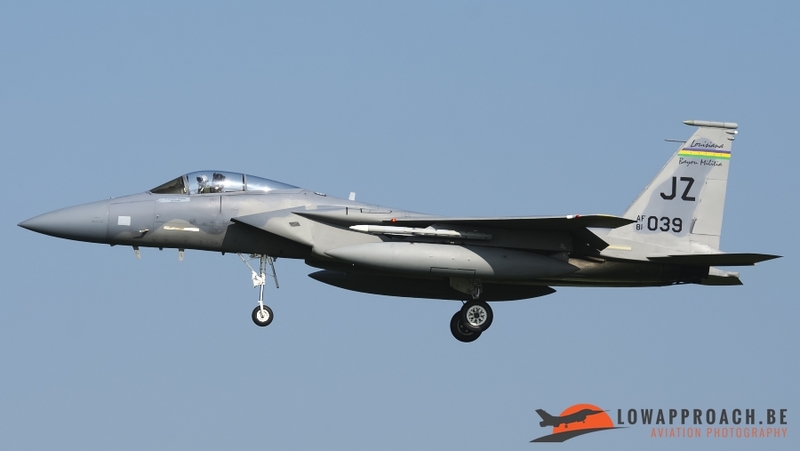 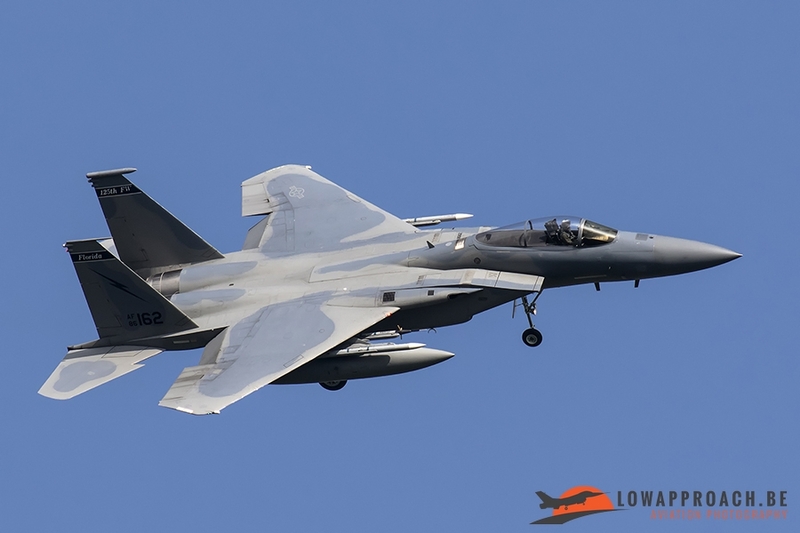 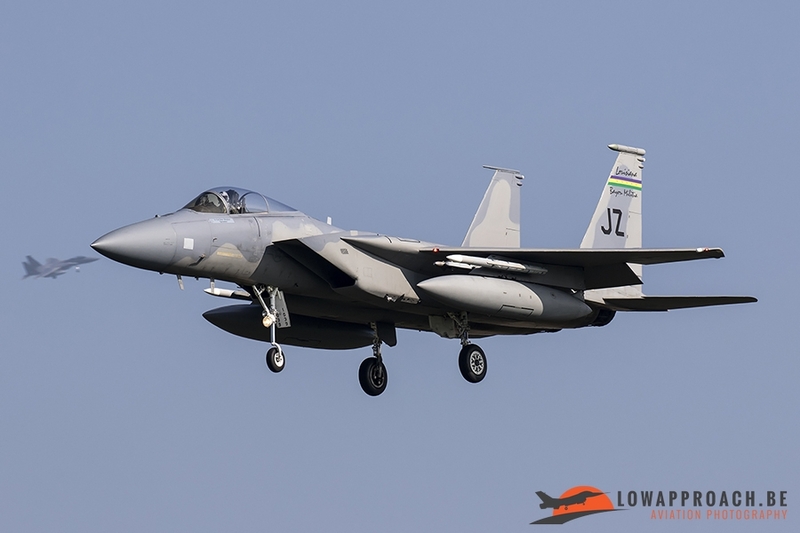 To celebrate these victories F-15C 85-0102/JZ was decorated with 3 green stars under the canopy. 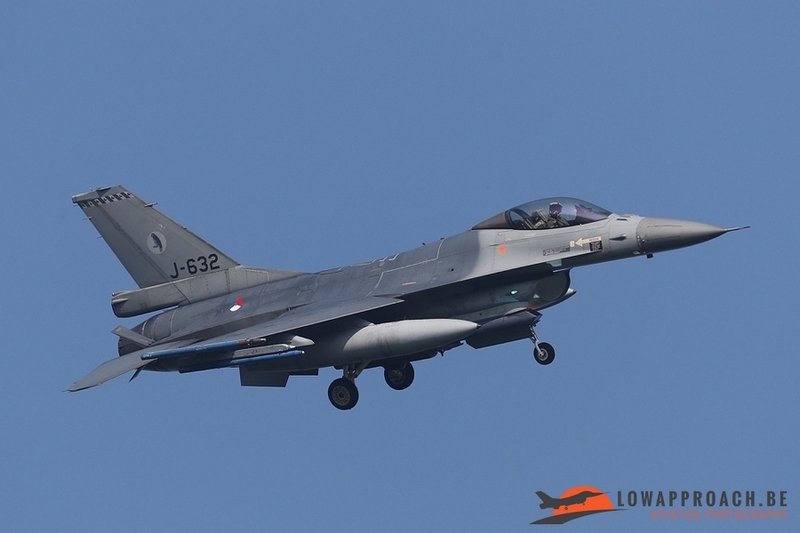 Exercises 'Frisian Flag' and 'EART' are combined during 2 weeks. 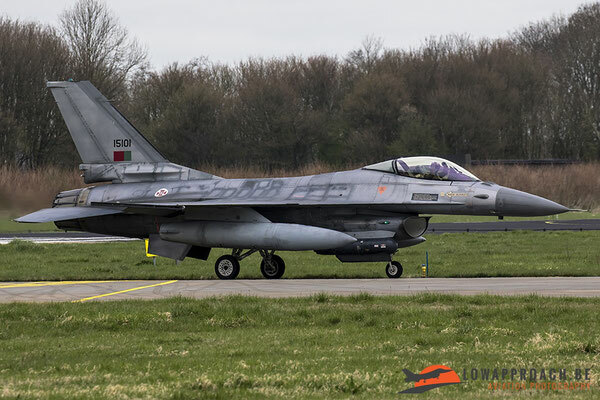 This exercise (EART 2017) was taking place at Eindhoven Air Base from 26 March to 7 April with four nations participating. Tankers from Germany, the Netherlands, Italy and France came to the Netherlands for a two week training exercise. 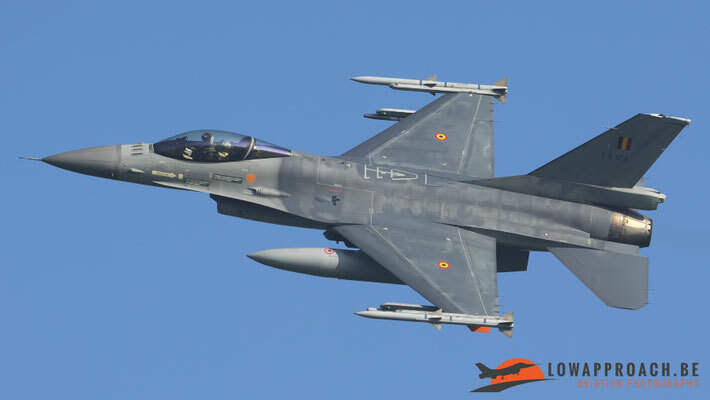 EART 2017 was the fourth edition of this multinational training. 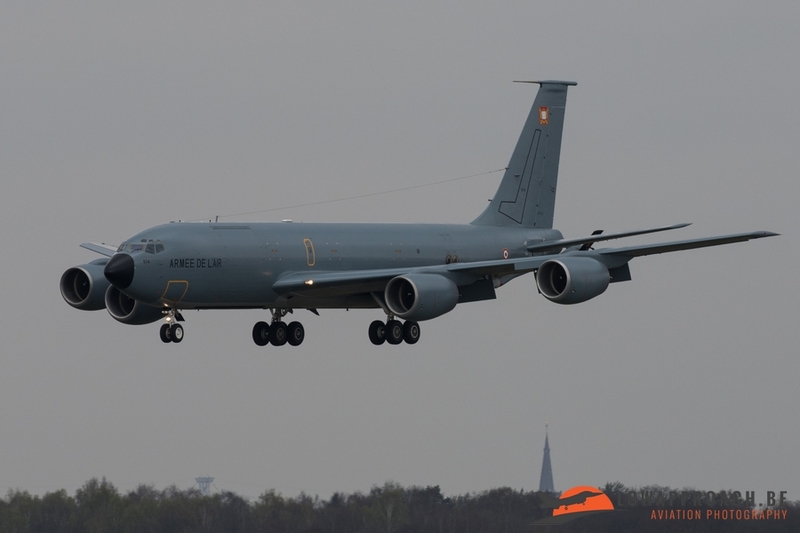 It was mainly dedicated to air-to-air refueling (AAR) training for tankers and crews. 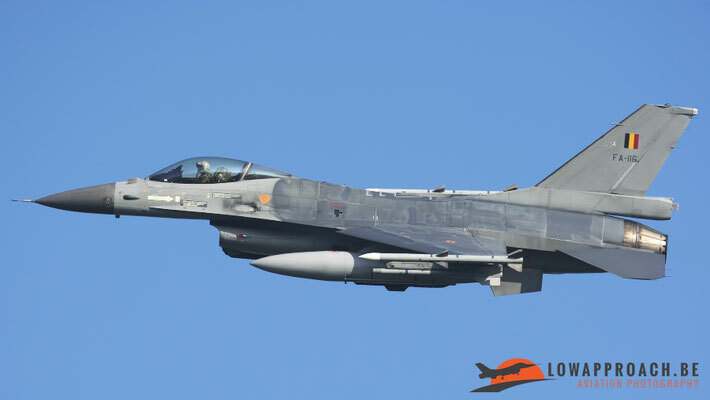 During the training exercise, crews have the opportunity to increase their know-how in complex multinational scenarios. 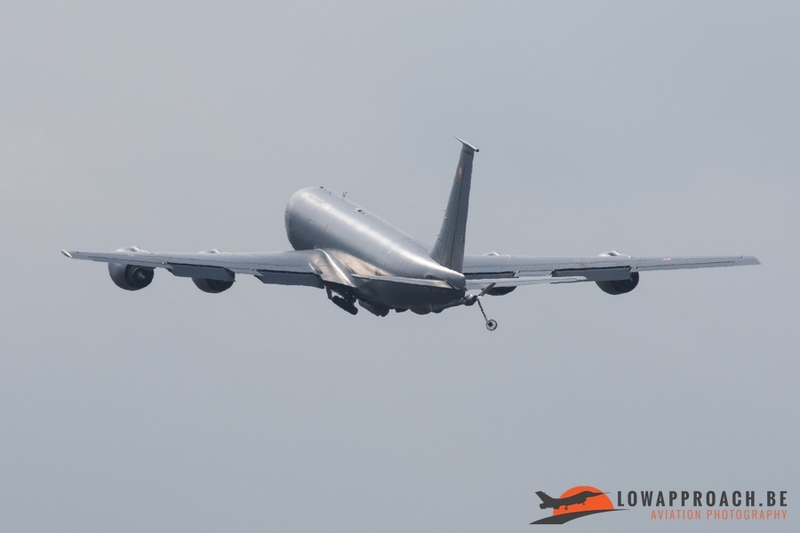 Furthermore, crews can enhance their knowledge of multinational tanker aircraft and exchange information and procedures. 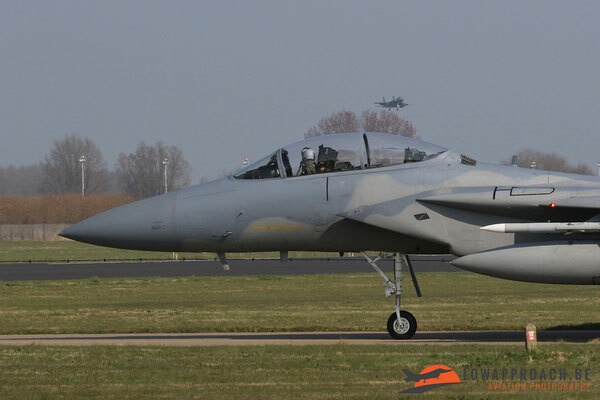 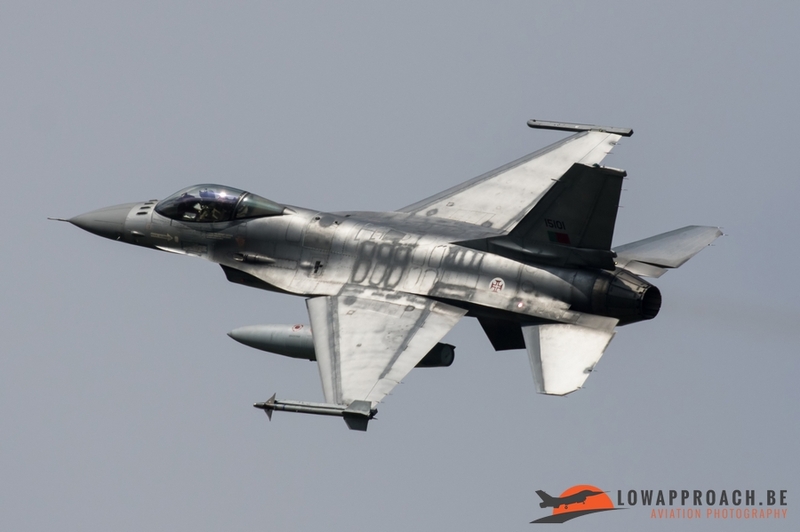 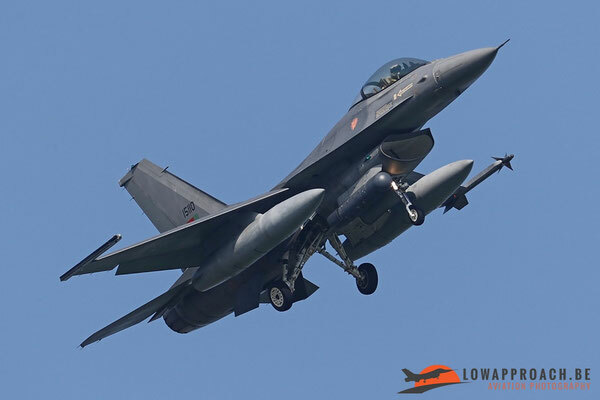 During the exercise they did air-to-air refueling with all different nations and airplanes that participated in Frisian Flag. 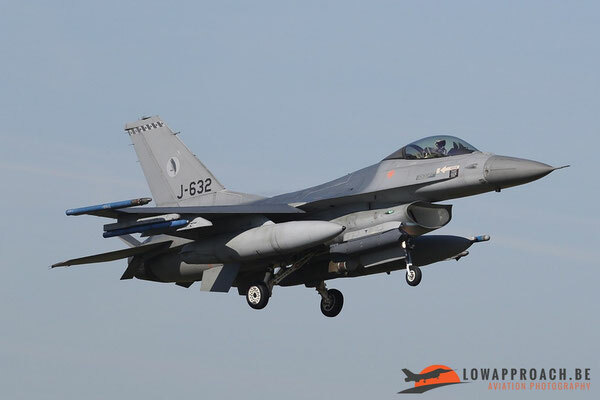 In the first week that EART was held Dirk, Levie and Edwin visited Eindhoven AFB a couple of times and came home with following pictures. 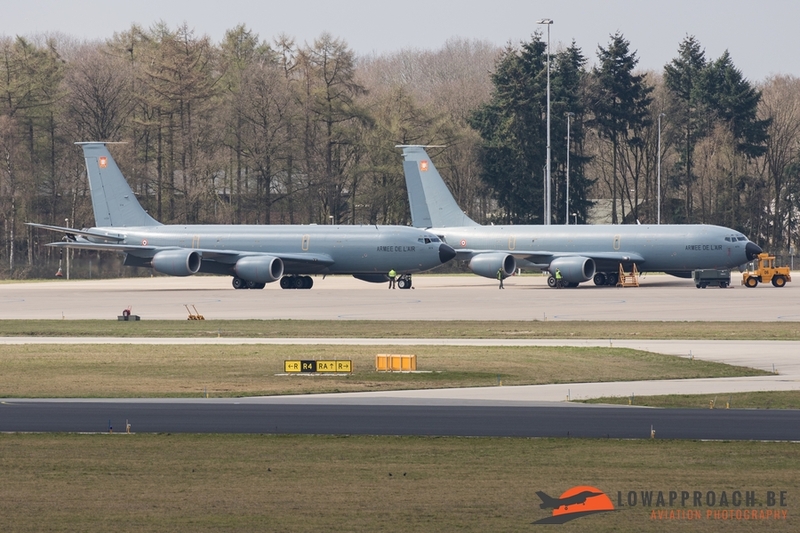 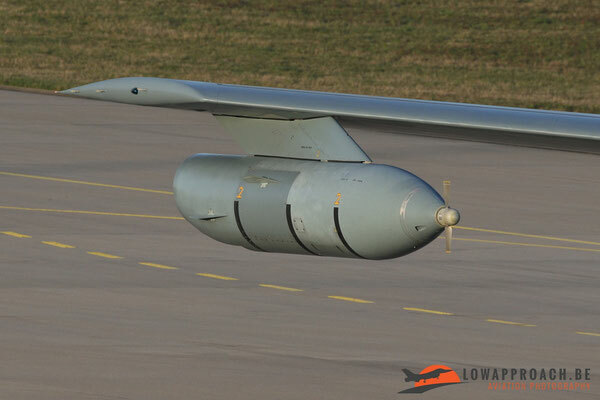 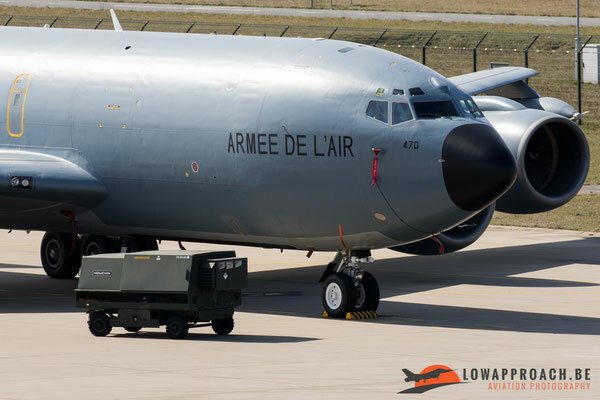 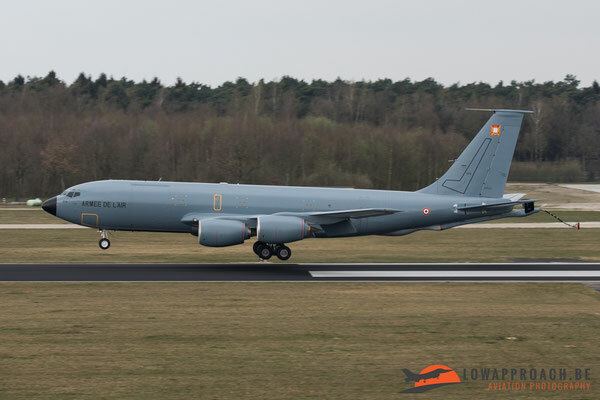 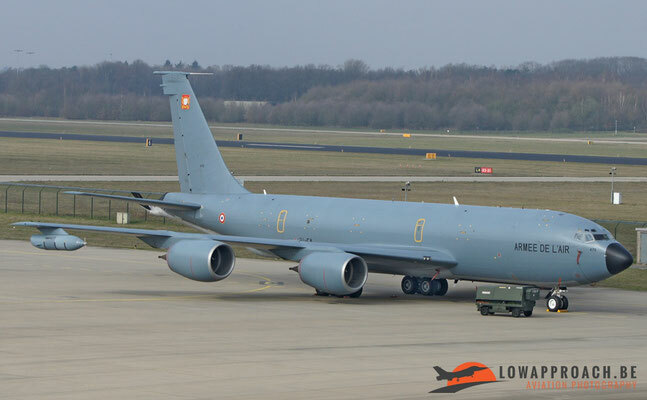 The French Air Force came to Eindhoven with the Boeing C-135FR 'STRATOTANKER 470/31-CA, that during the exercise became unserviceable and a second C-135FR 574/31-CP brought the spare parts needed to repair the Stratotanker. 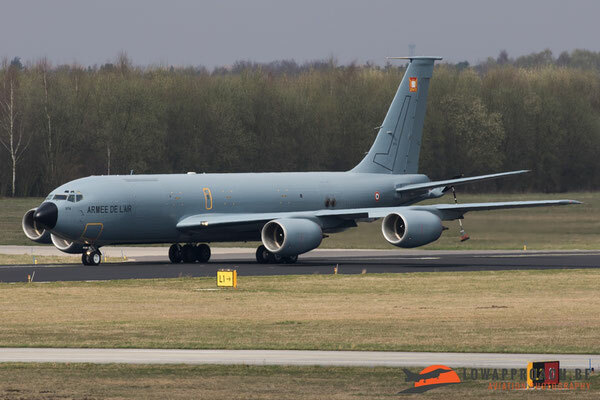 After half an hour the C-135FR that brought the spare parts took off again to France. 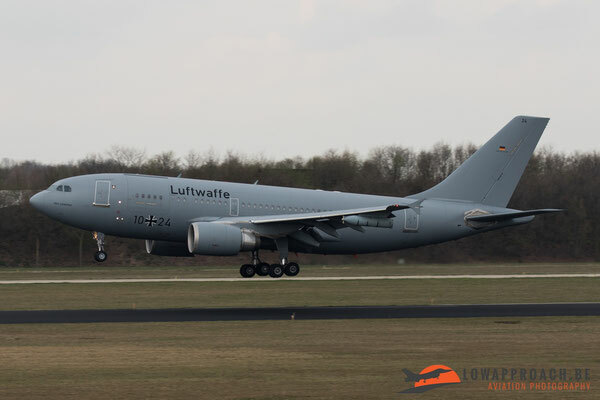 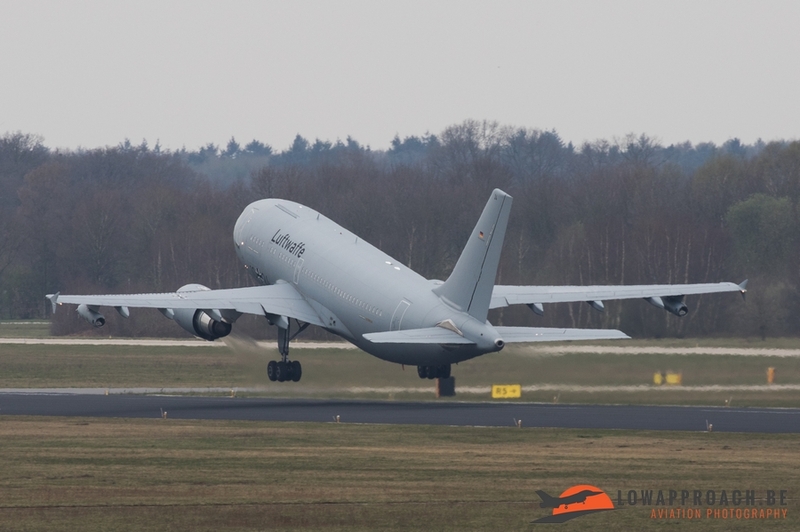 The German Air Force participated with the Airbus A310-304 MRTT 'Multi-Role Transport Tanker’ 10+24. 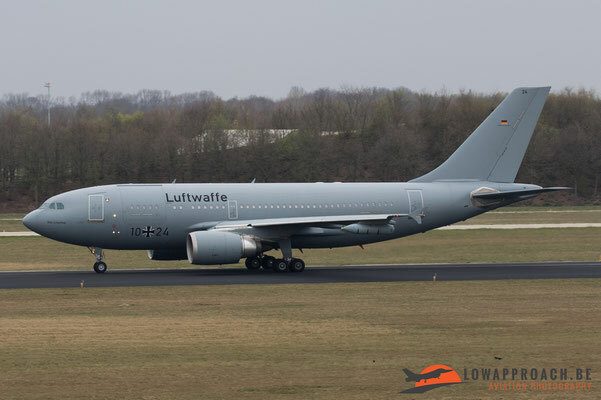 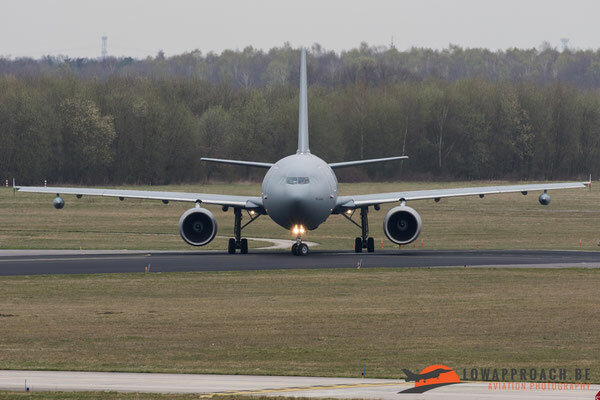 The A310 MRTT is a military derivative of the Airbus A310 airliner, the German Air Force was the first customer for the MRTT. 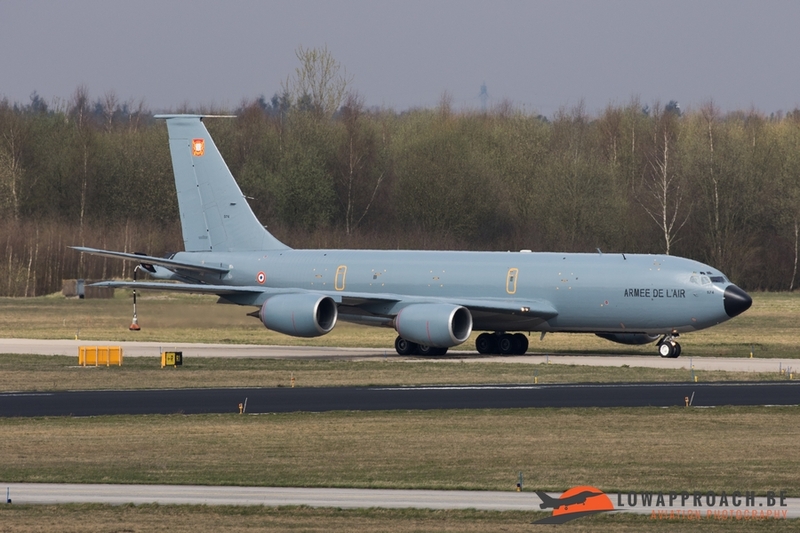 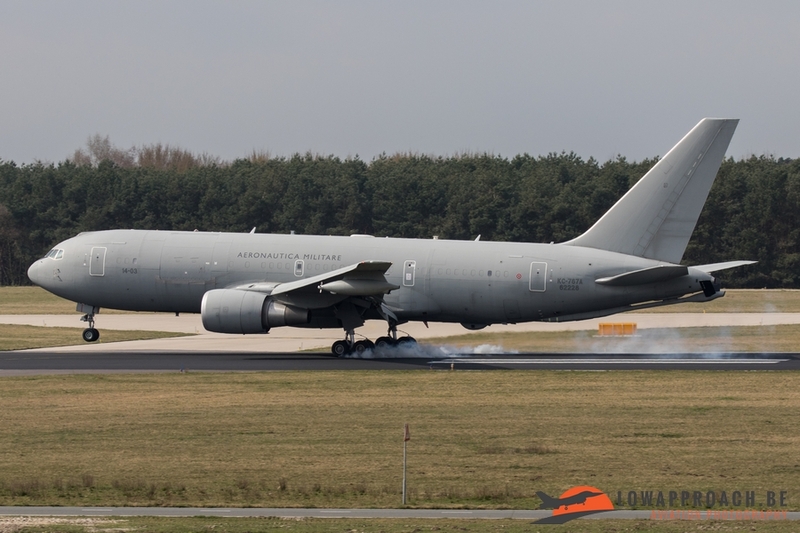 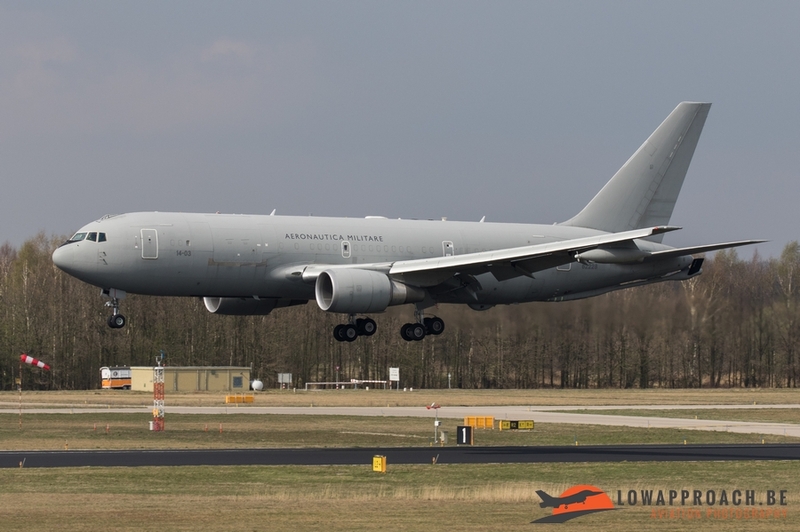 The Italian Air Force came to the Netherlands with Boeing KC-767A / MM62228/14-03. This version is based on the 767-200ER and is named the KC-767 Tanker Transport, and is fitted with a boom and hose-drogue refueling system on the centerline and with hose-drogue wingpod systems. 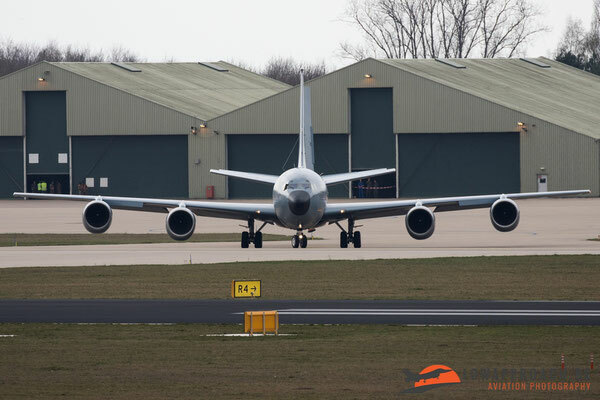 From the Netherlands Air Force we don’t have any pictures because they only participated in the exercise in a later stadium with their KDC-10. 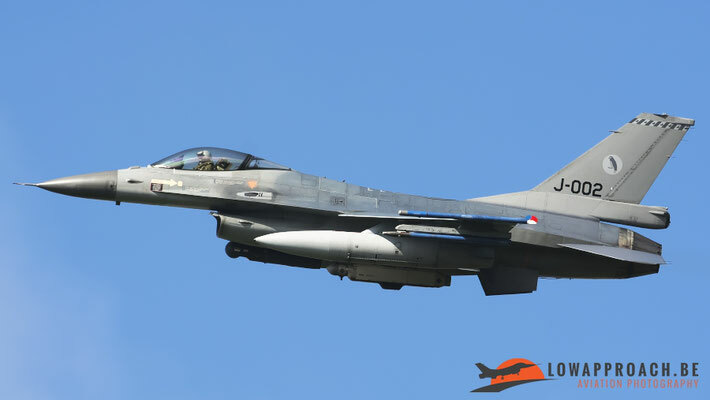 Photography: Dirk Geuns, Edwin Huskens, Tim Van den Boer, Andy Patzelt, Ludo Kloek.